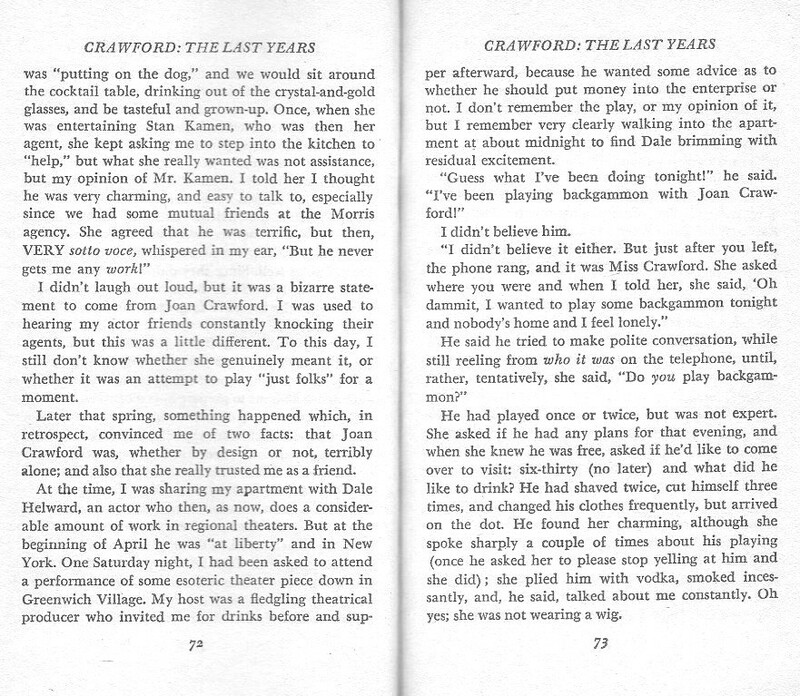 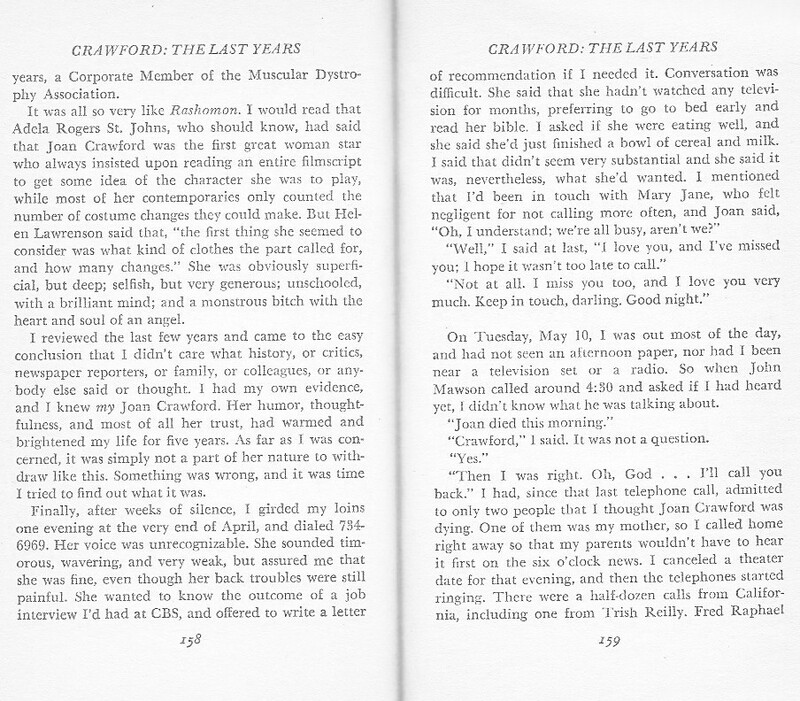 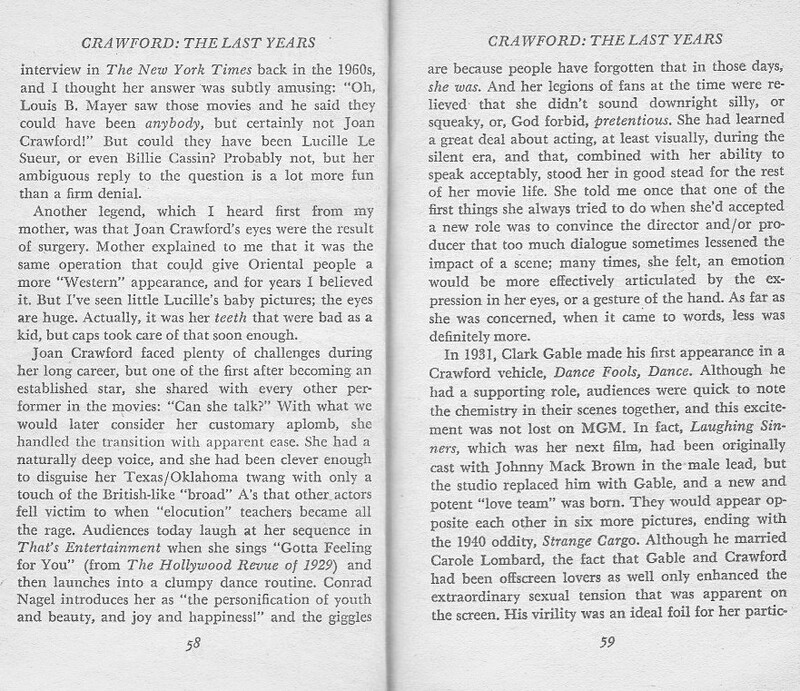 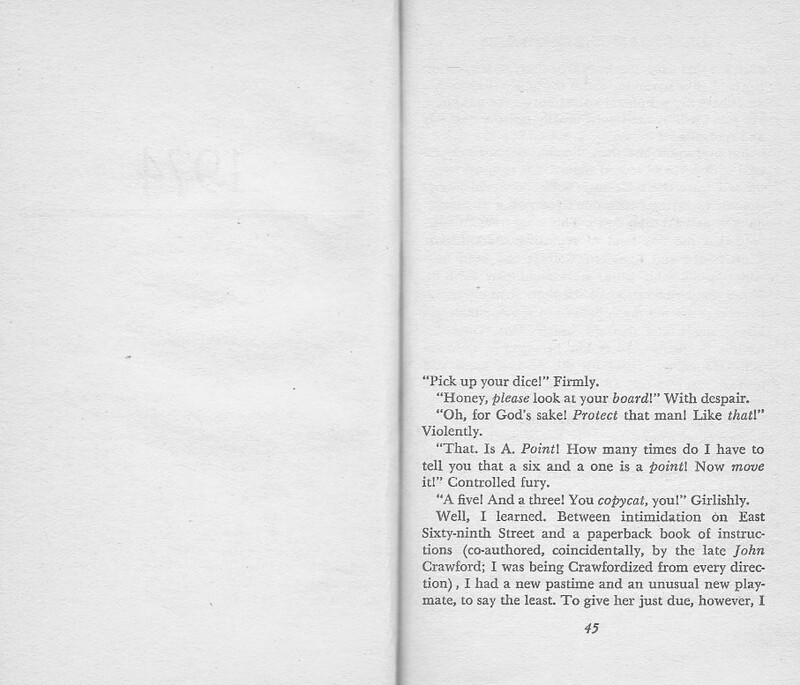 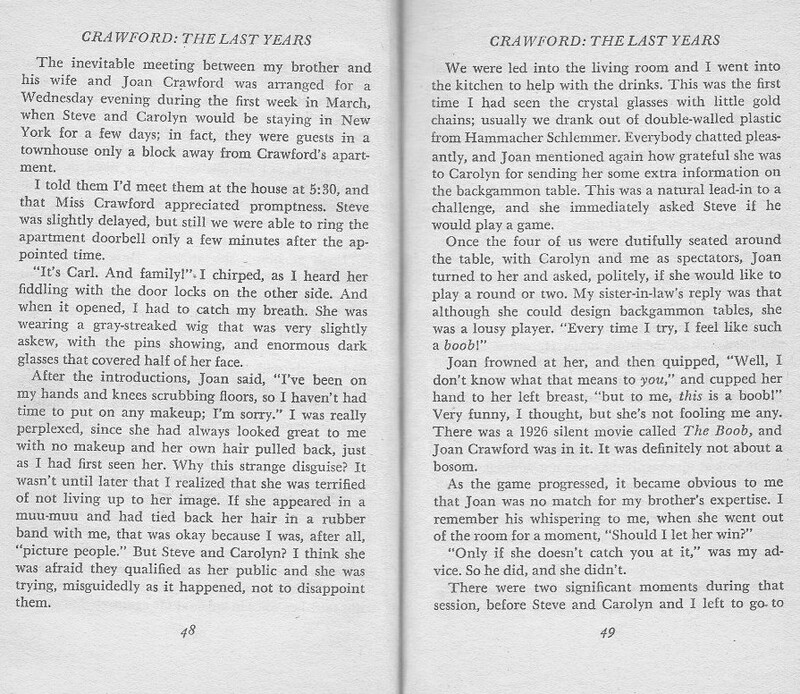 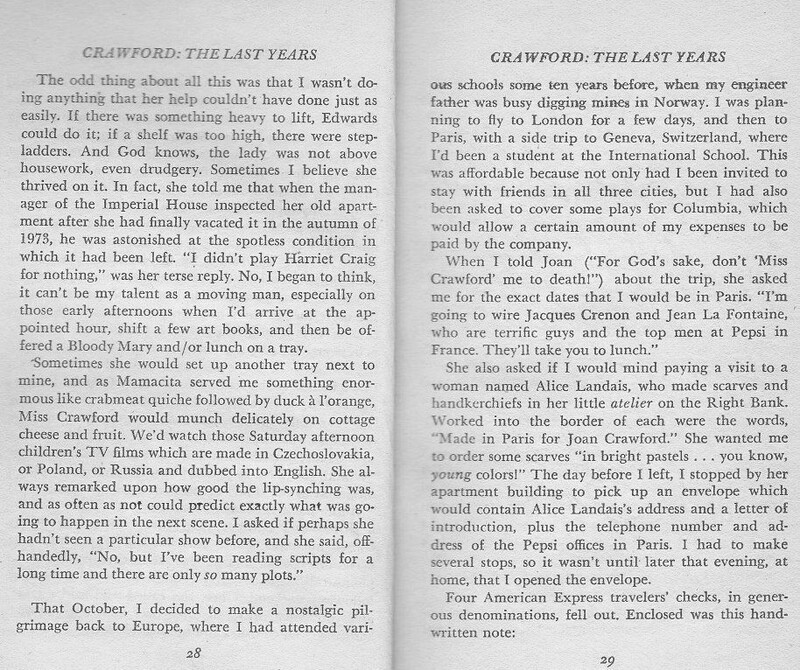 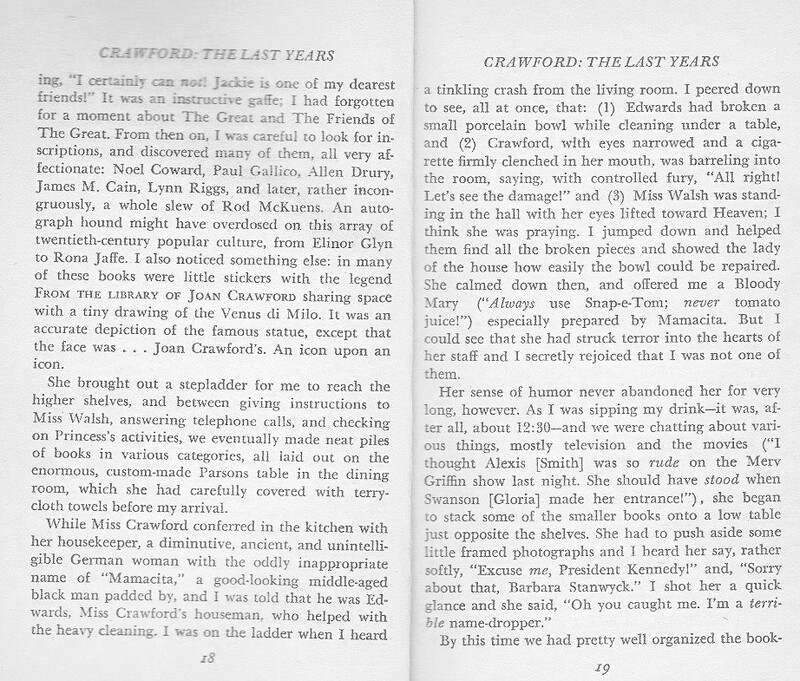 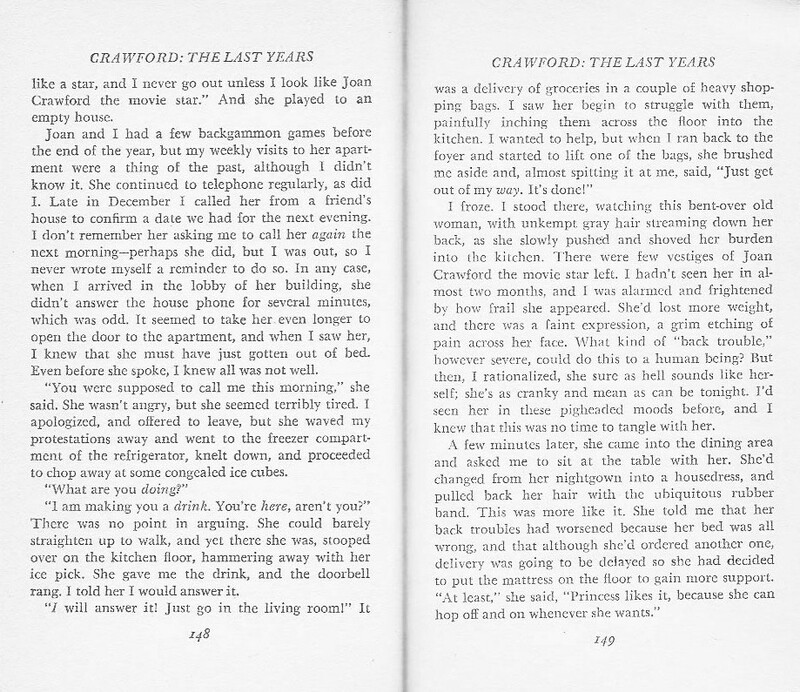 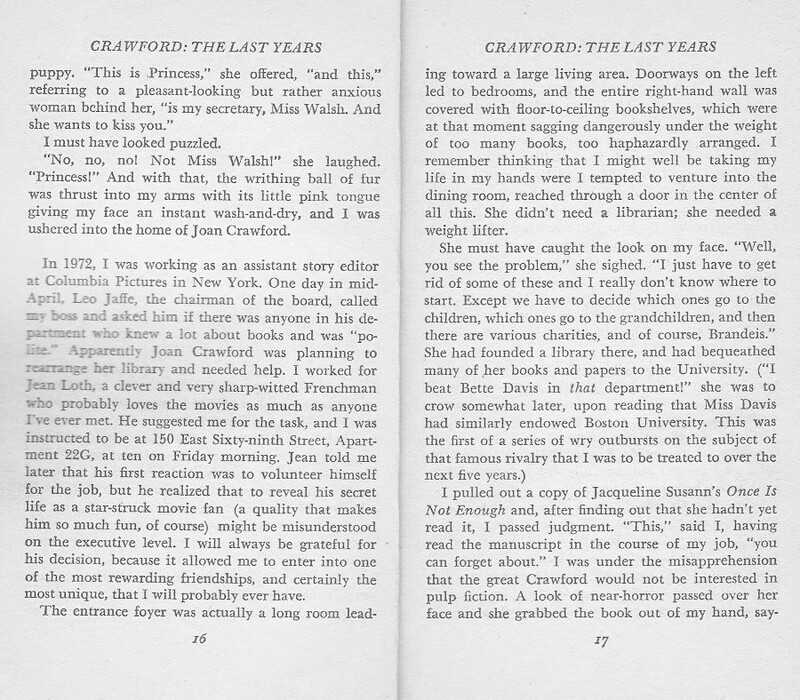 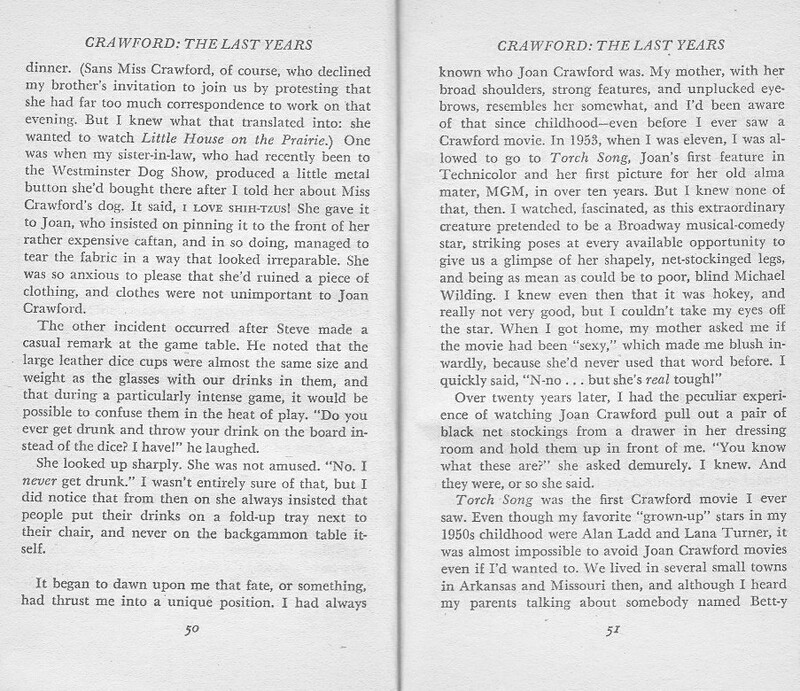 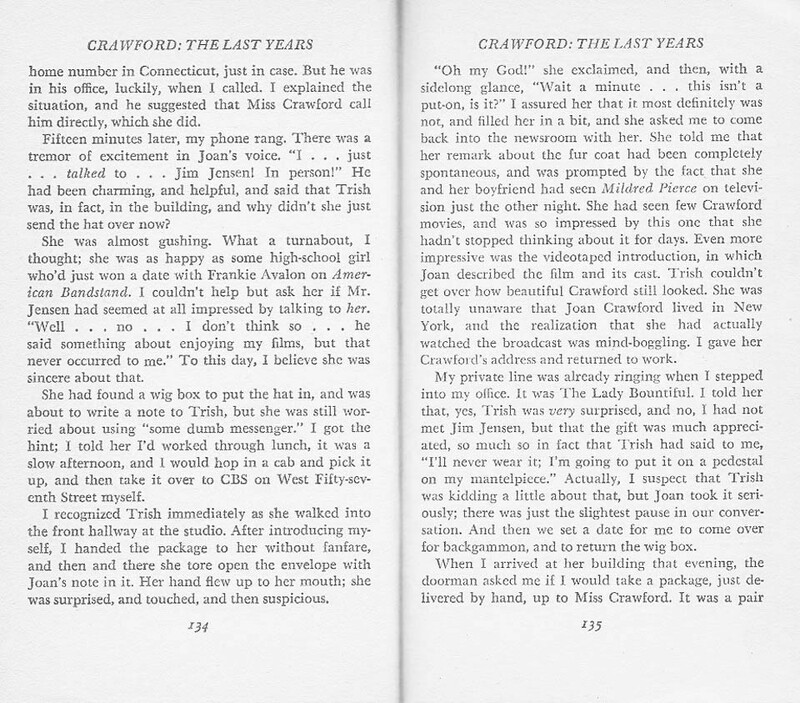 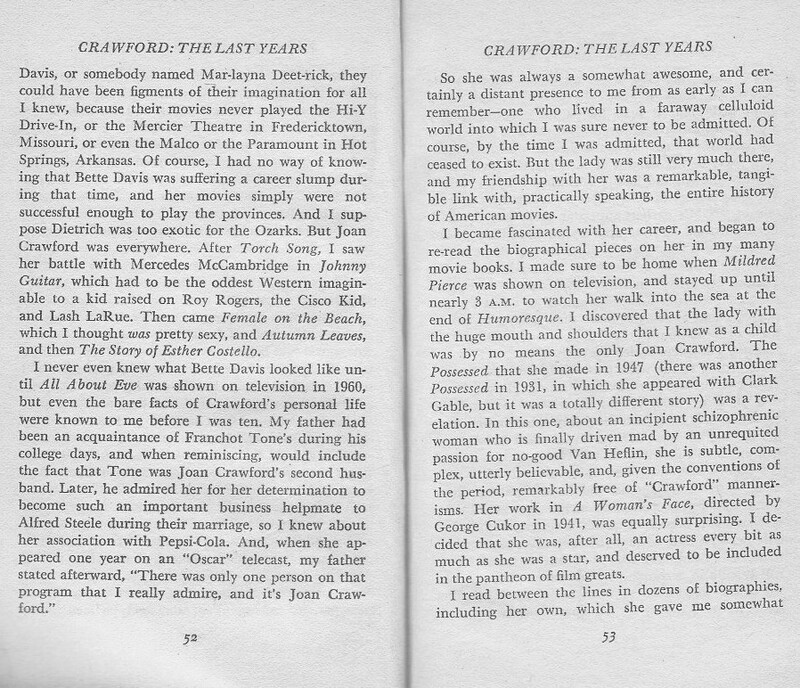 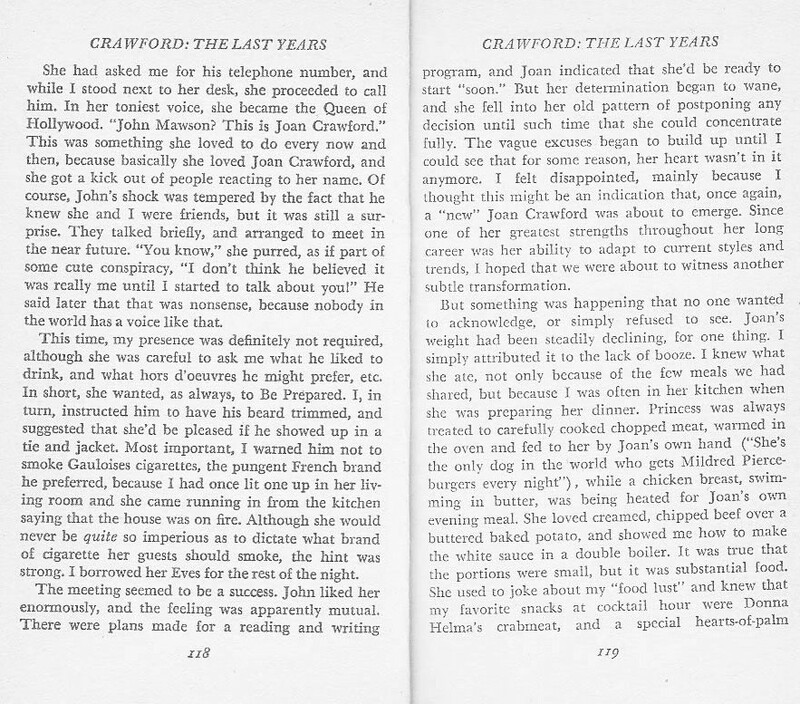 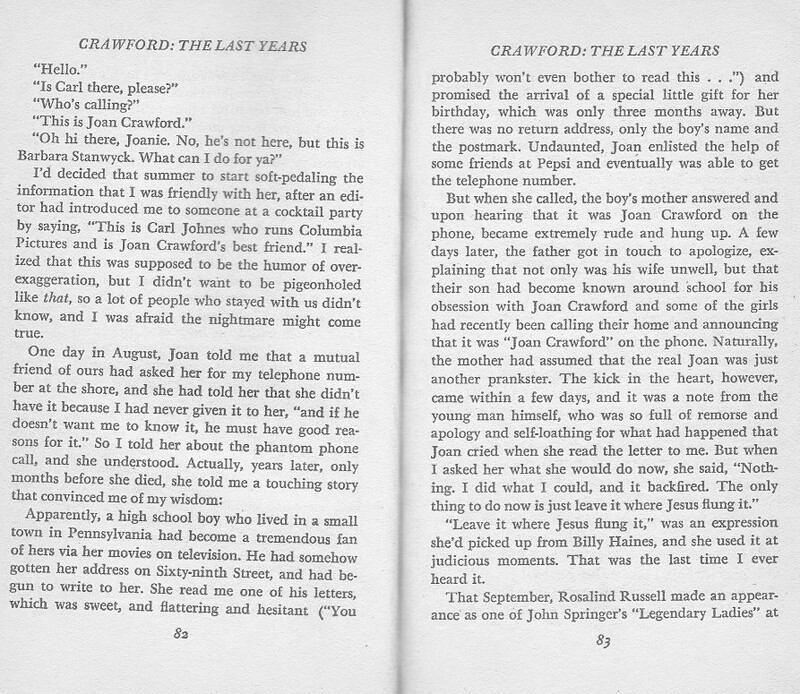 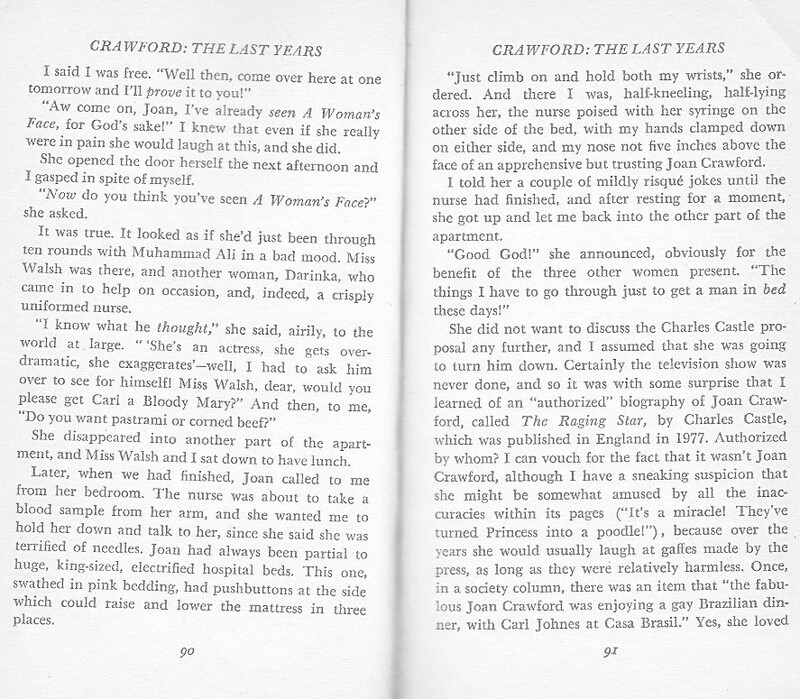 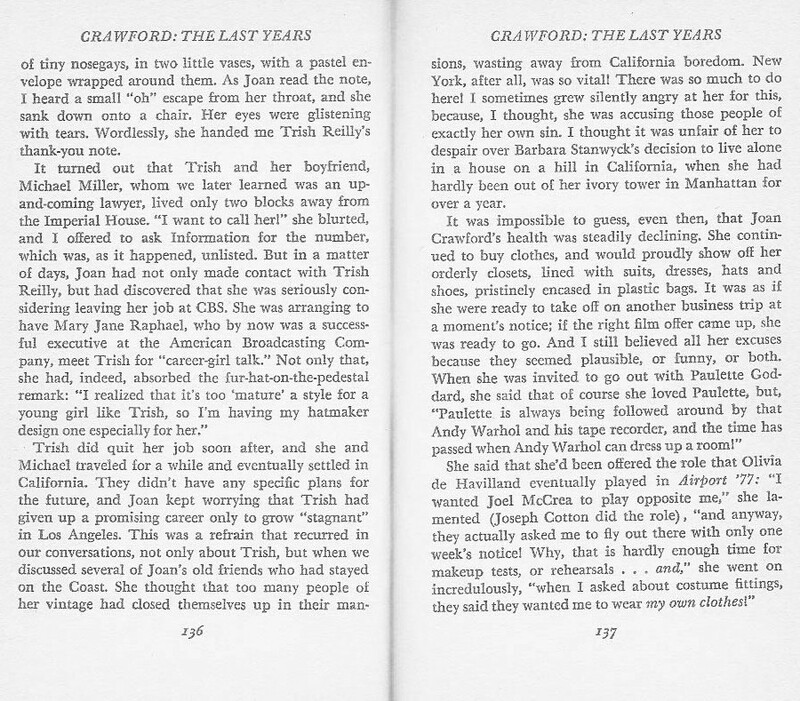 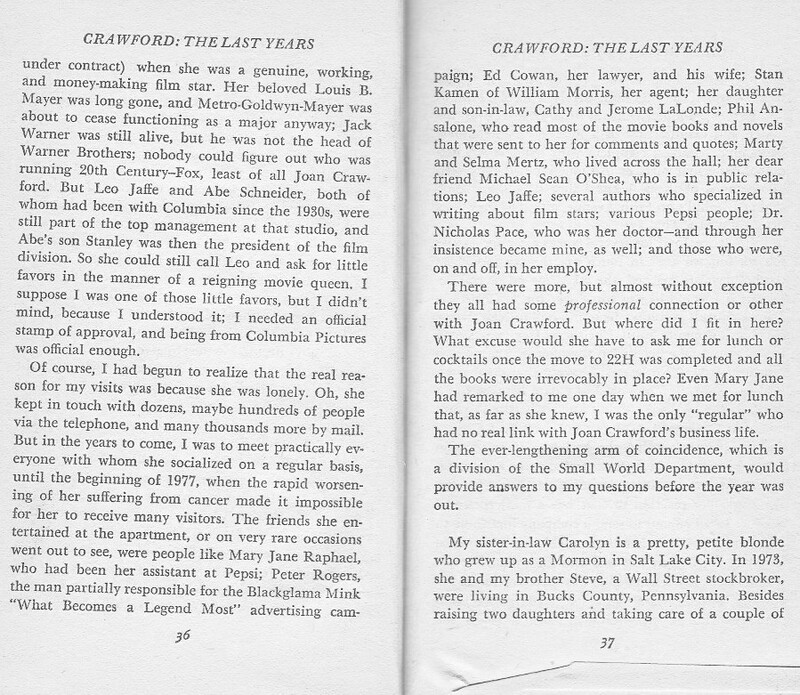 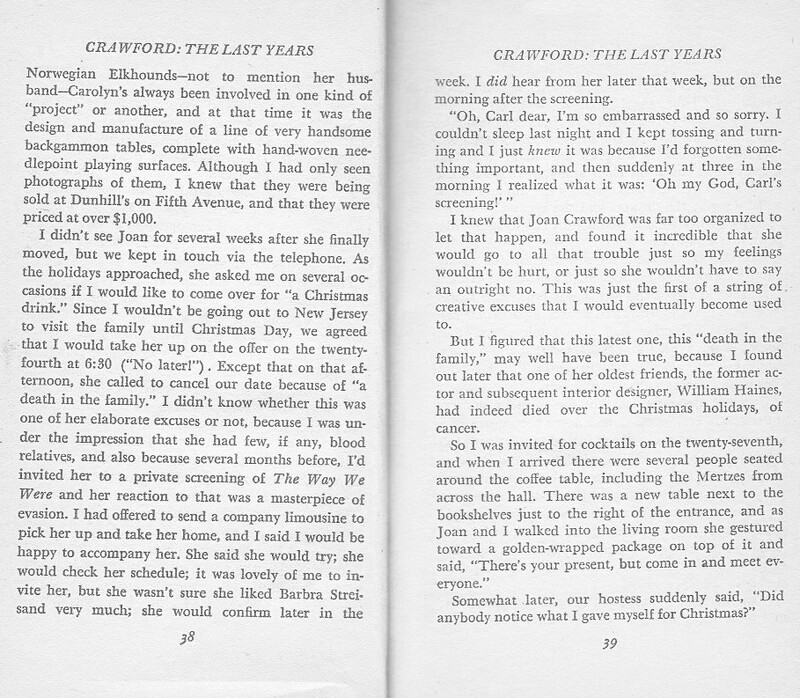 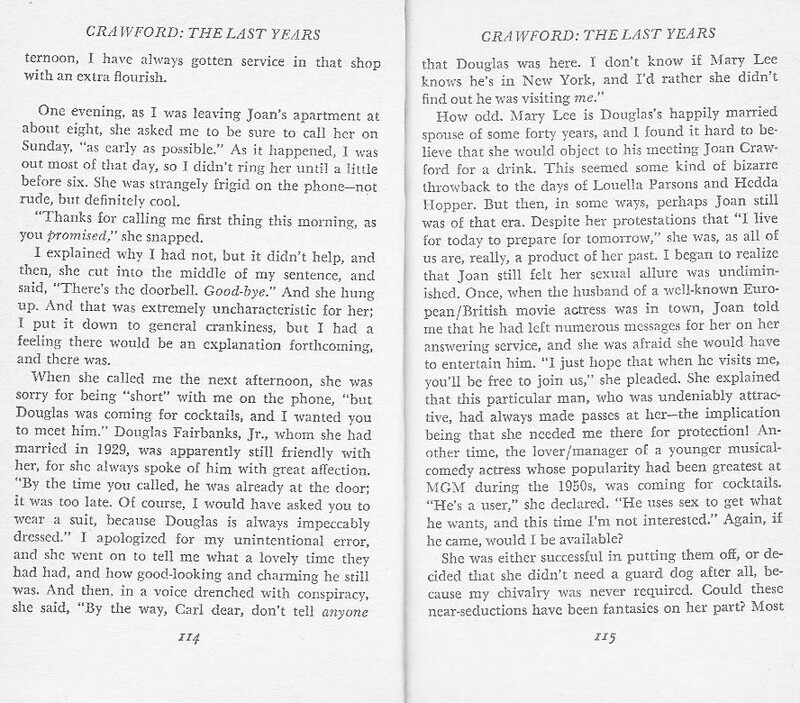 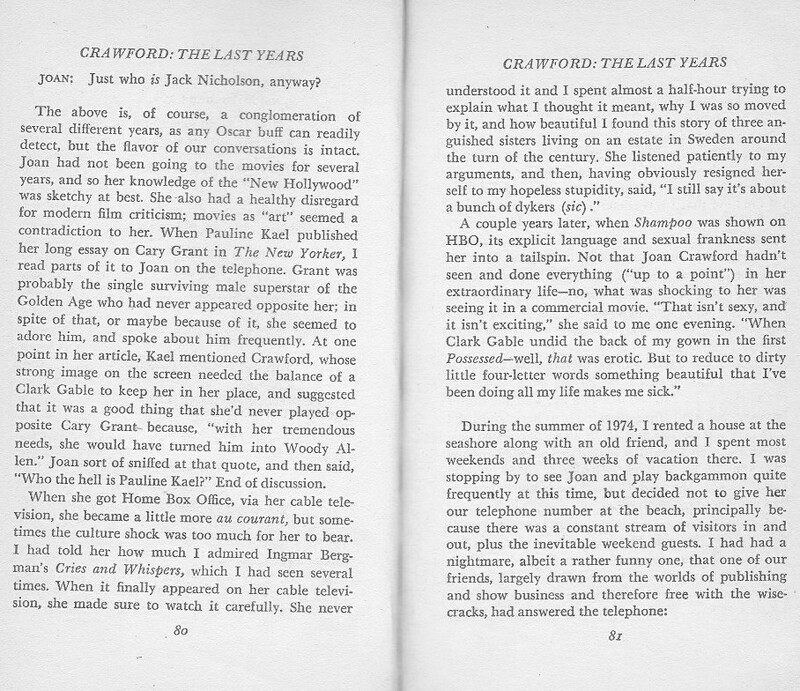 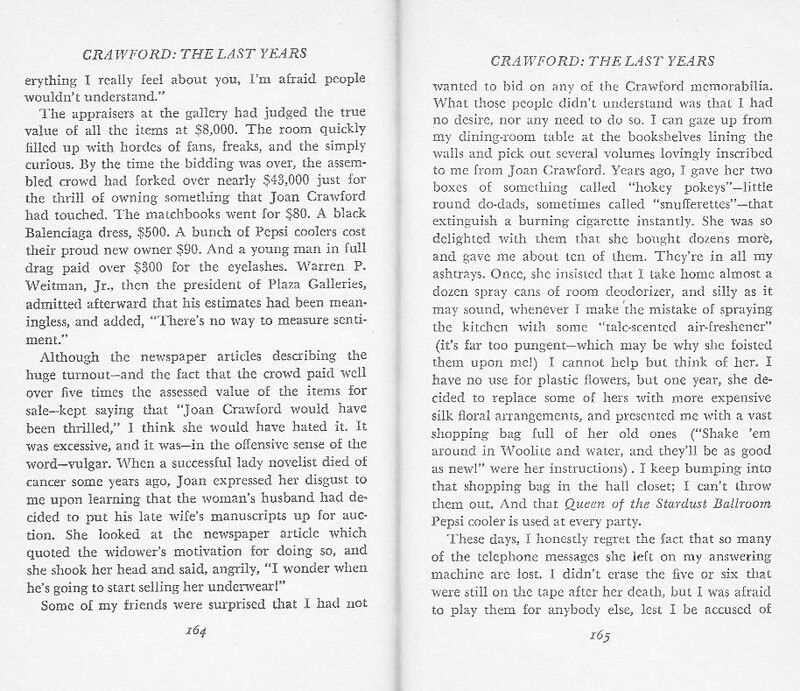 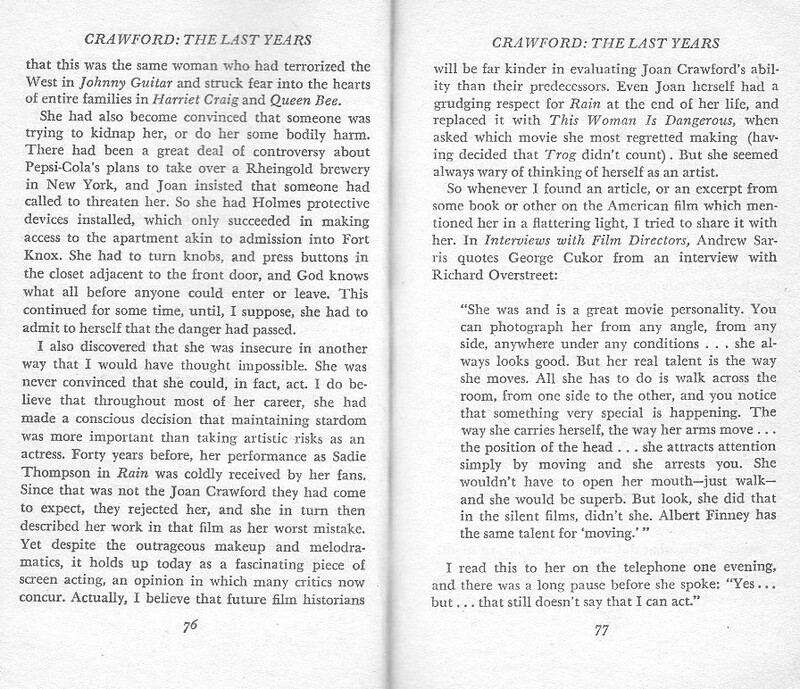 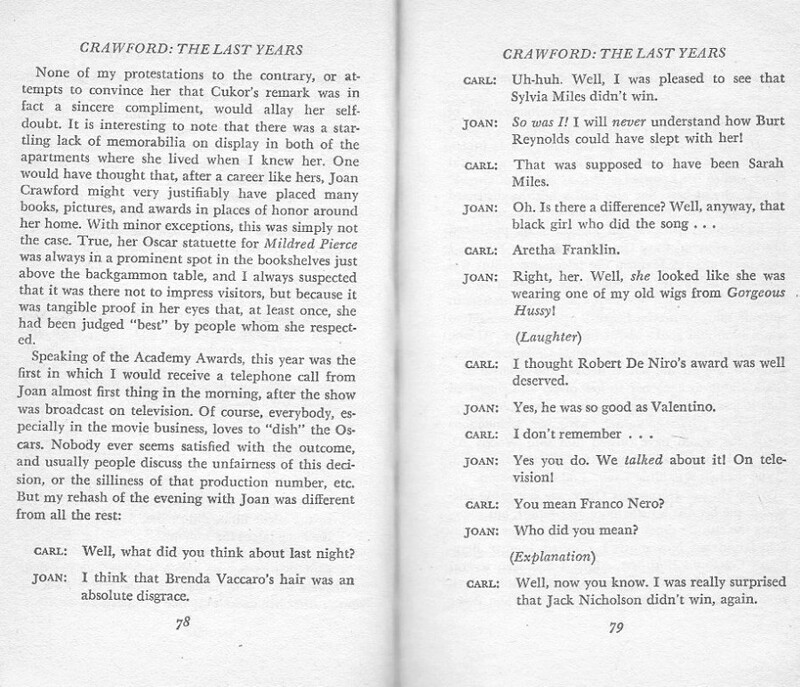 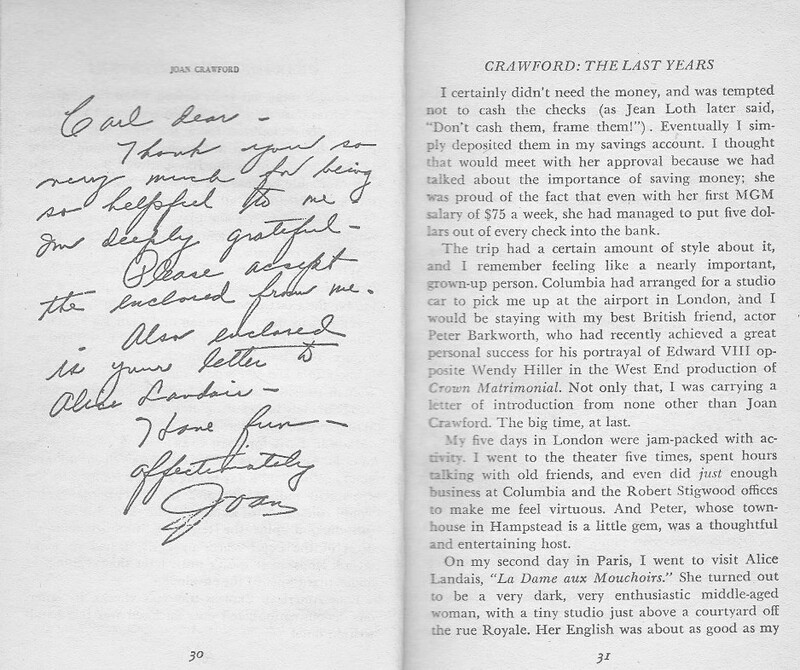 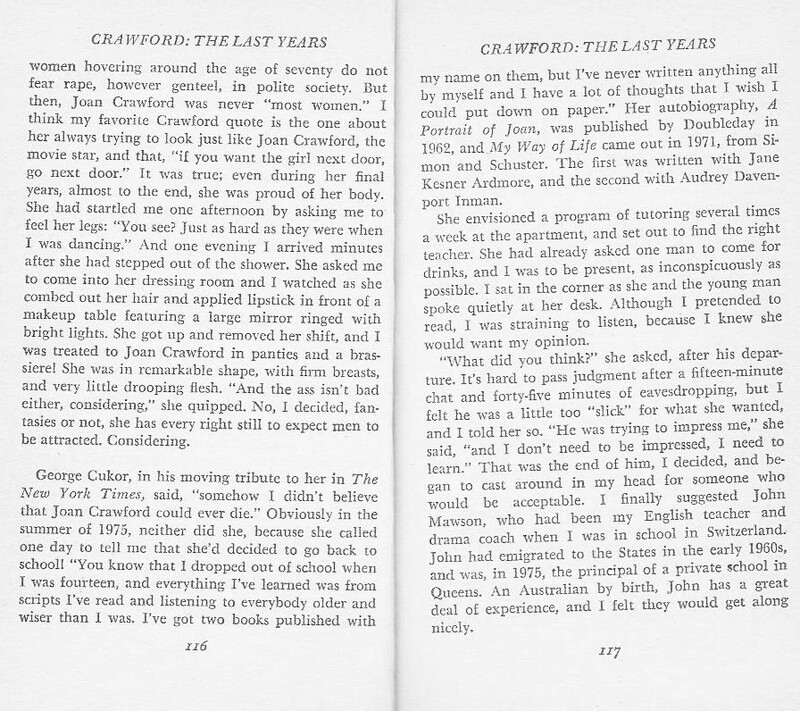 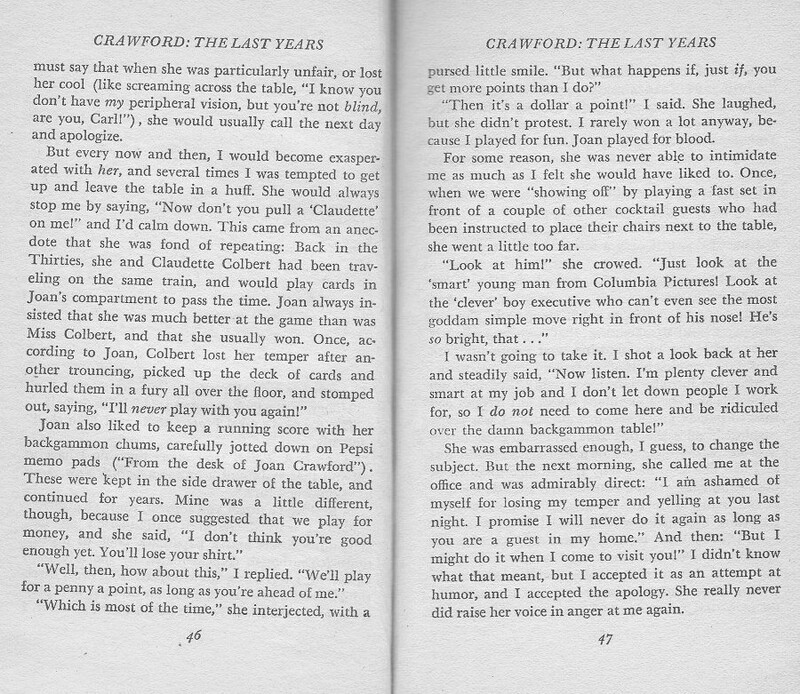 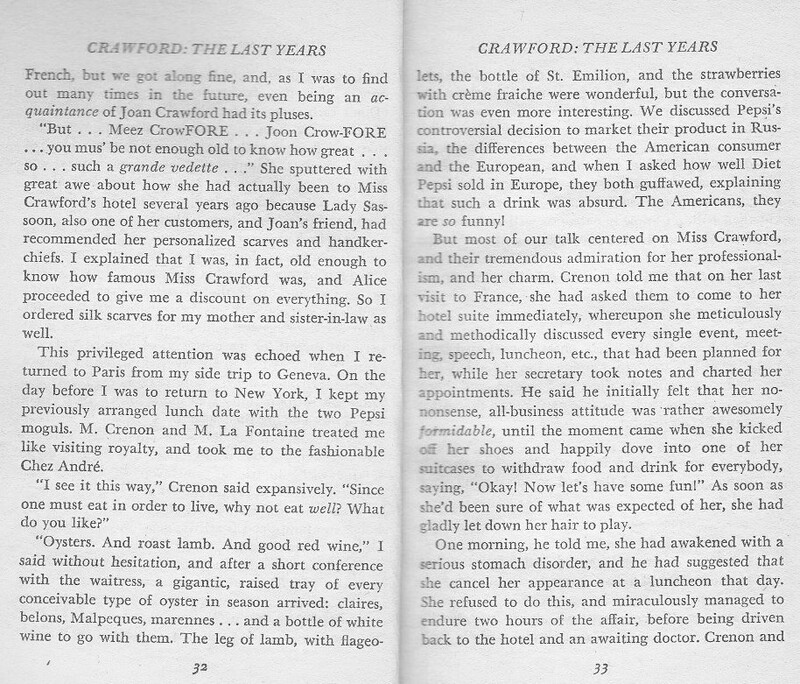 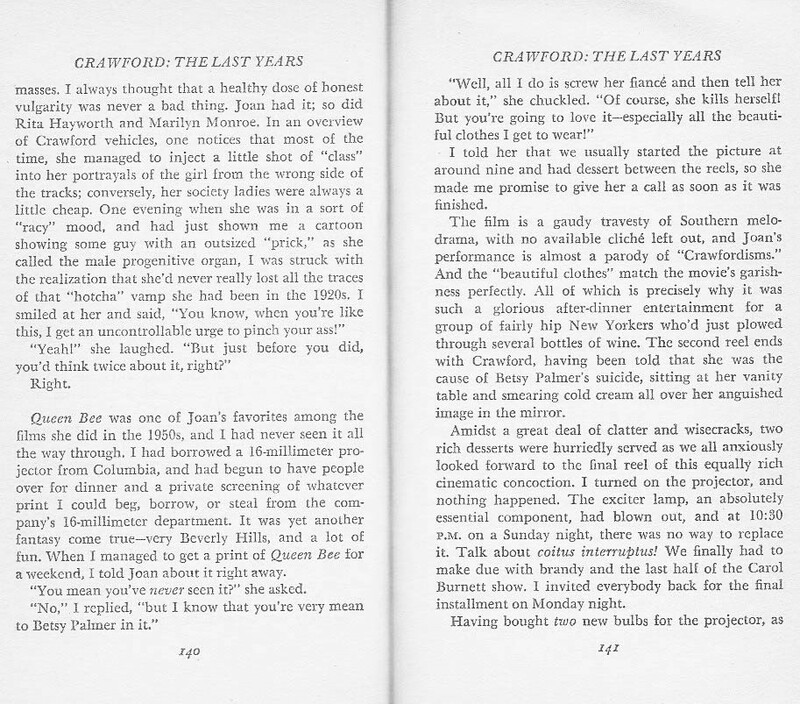 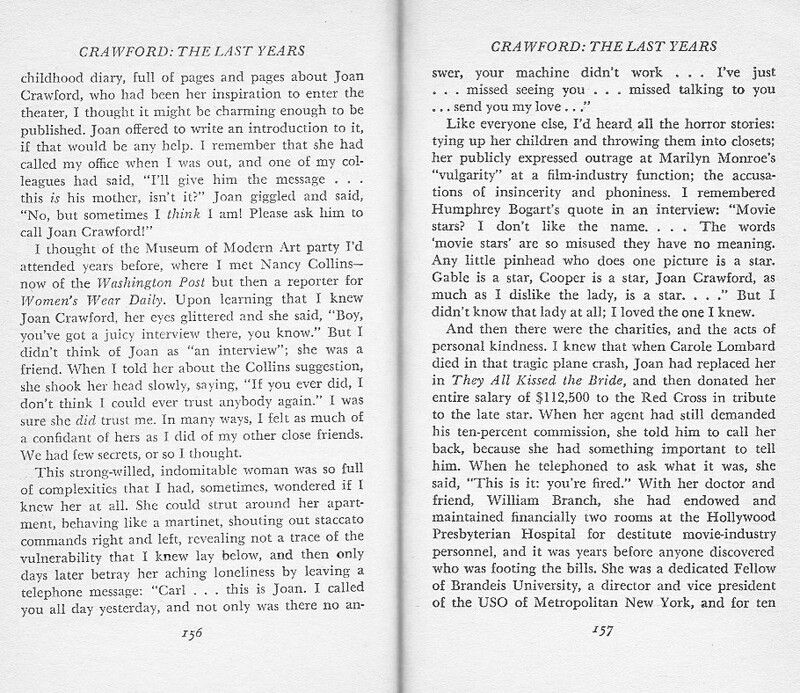 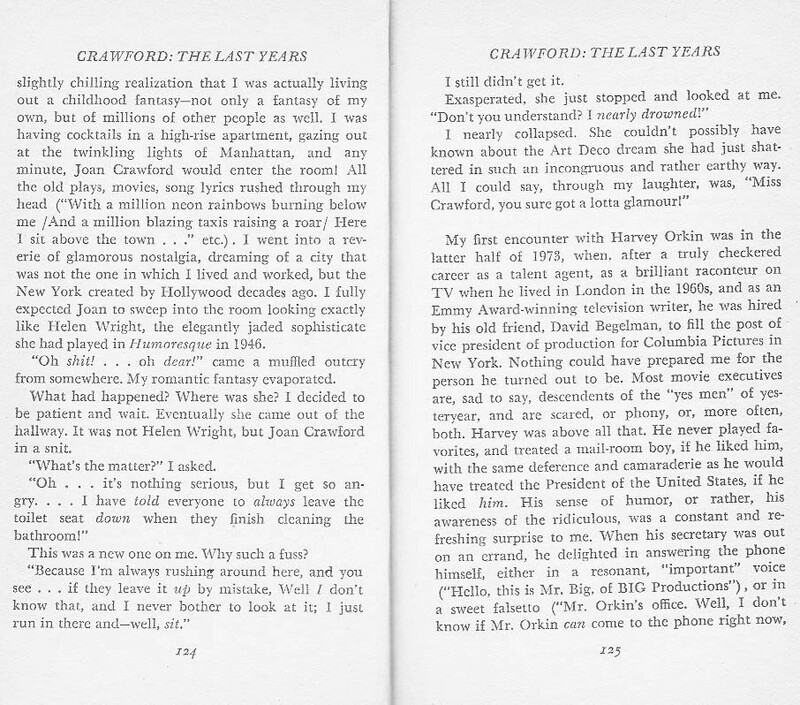 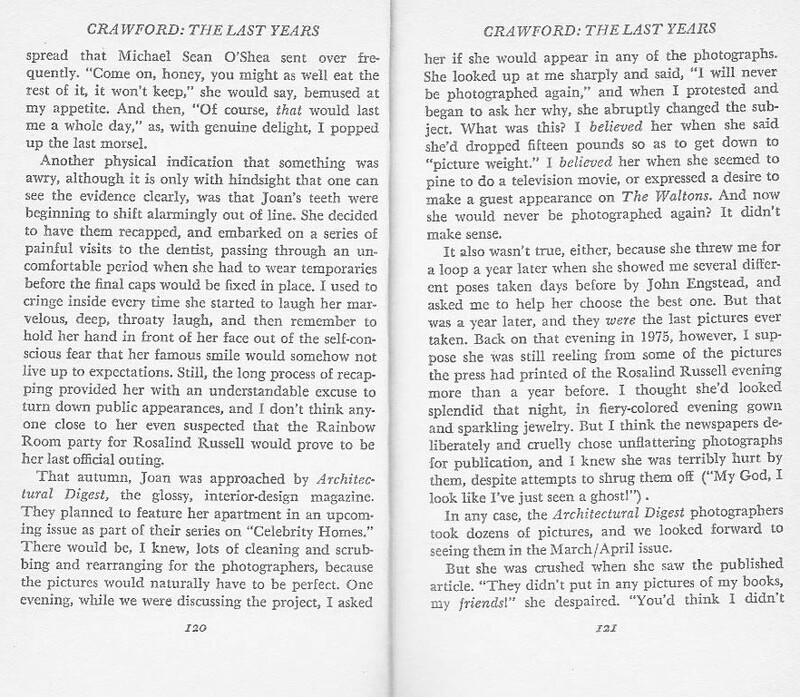 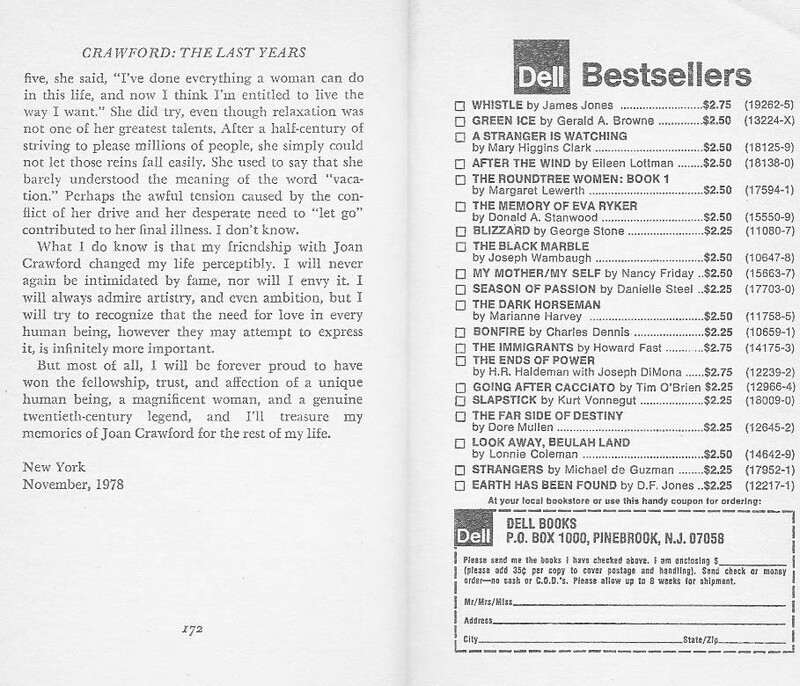 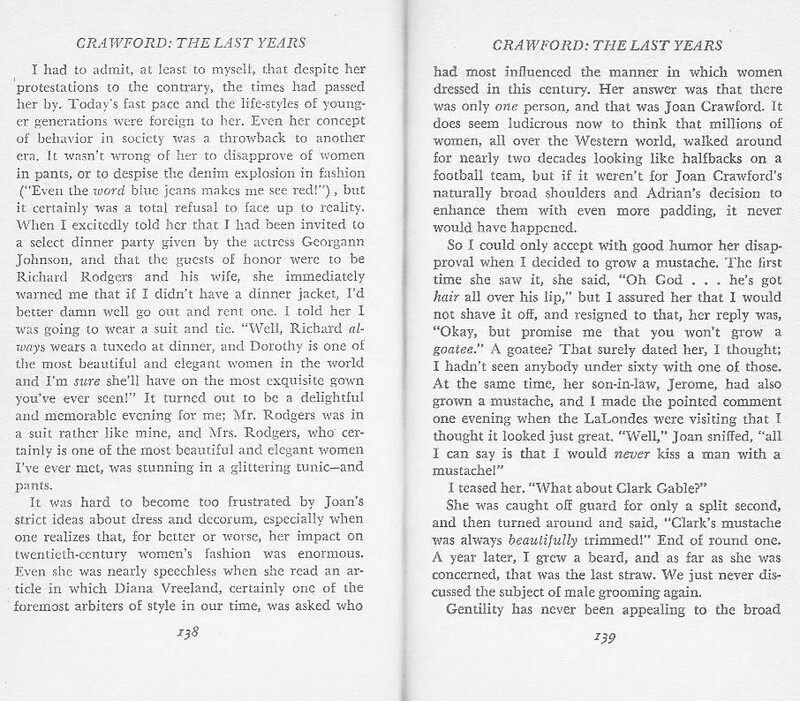 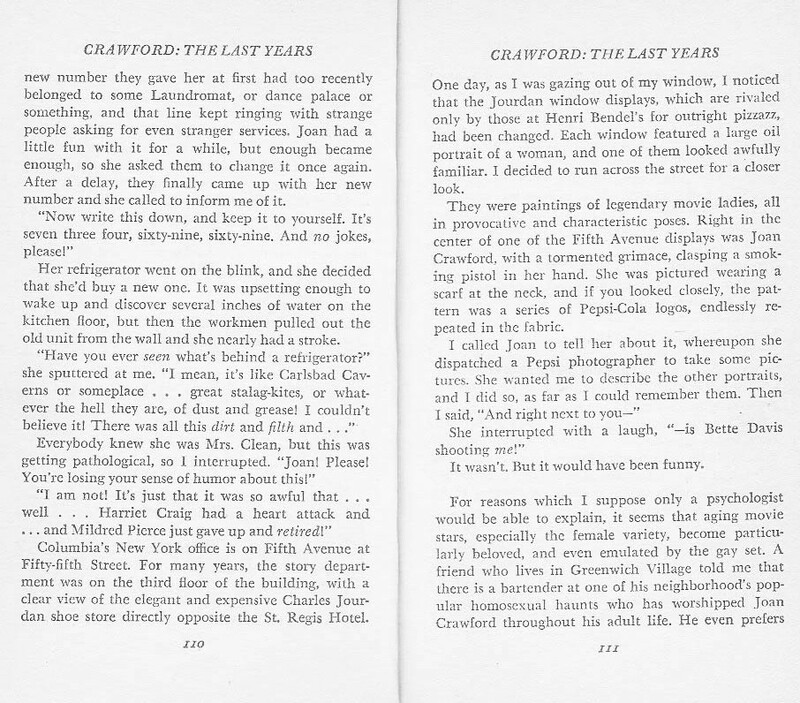 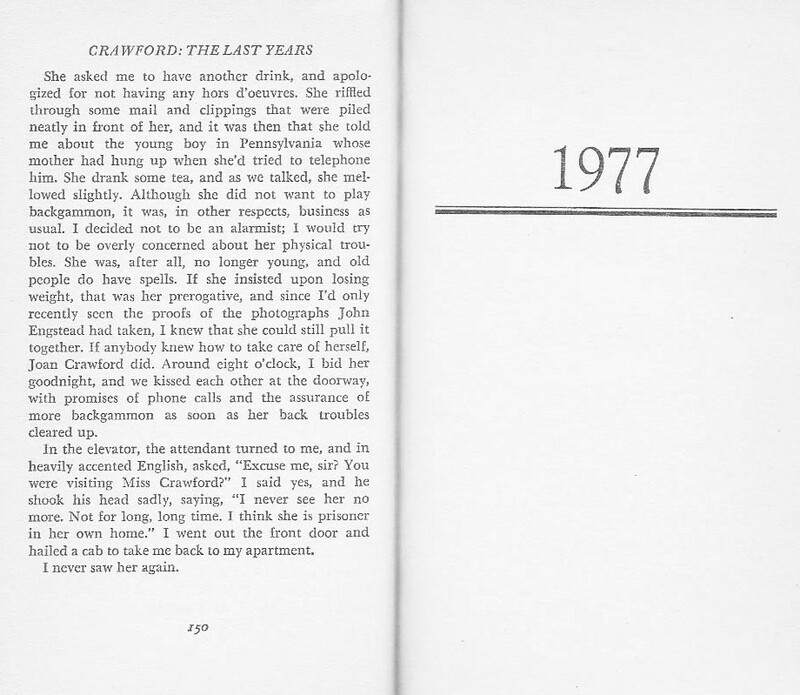 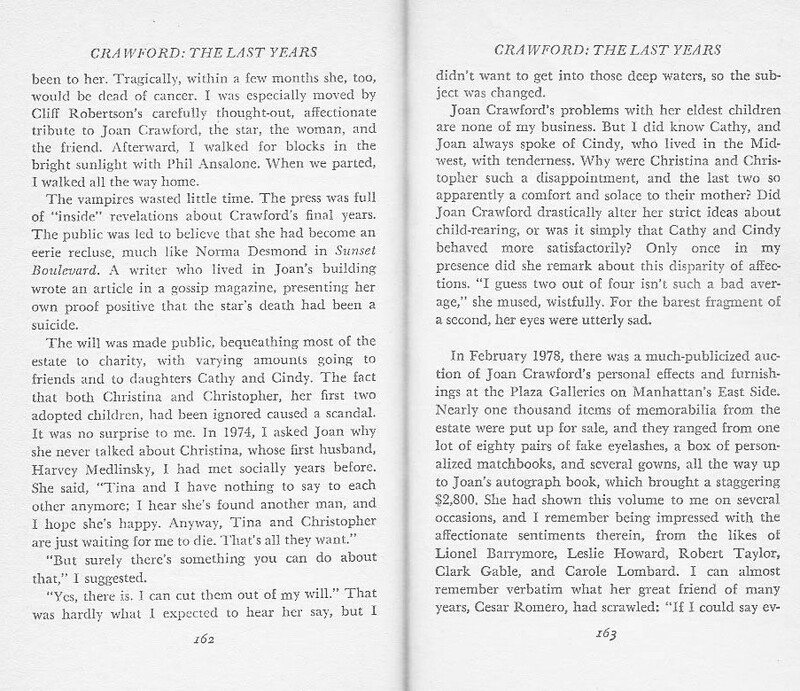 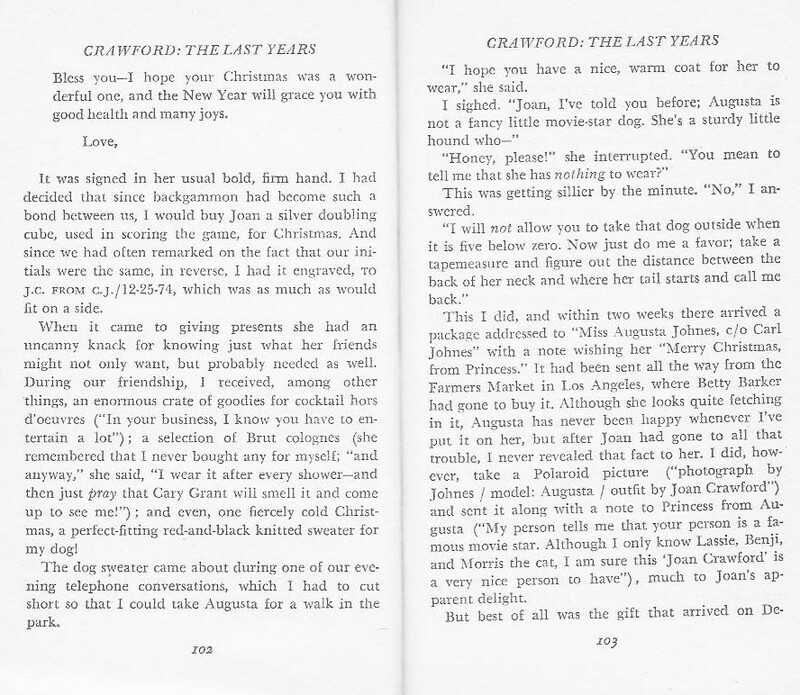 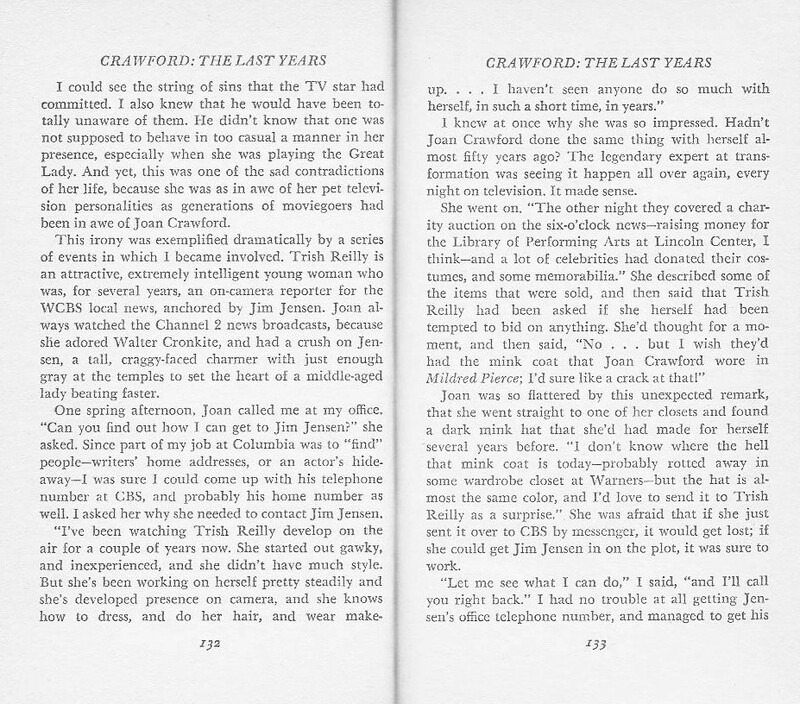 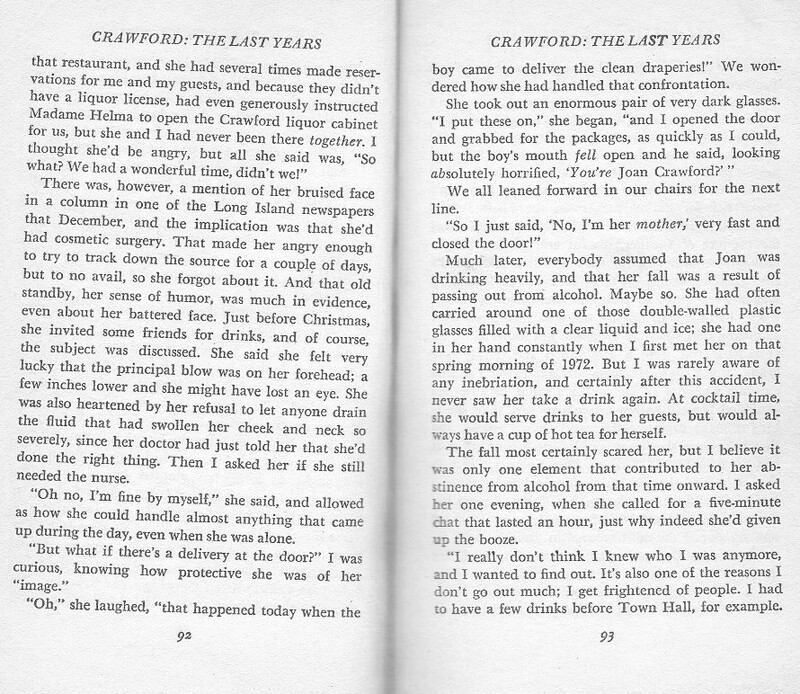 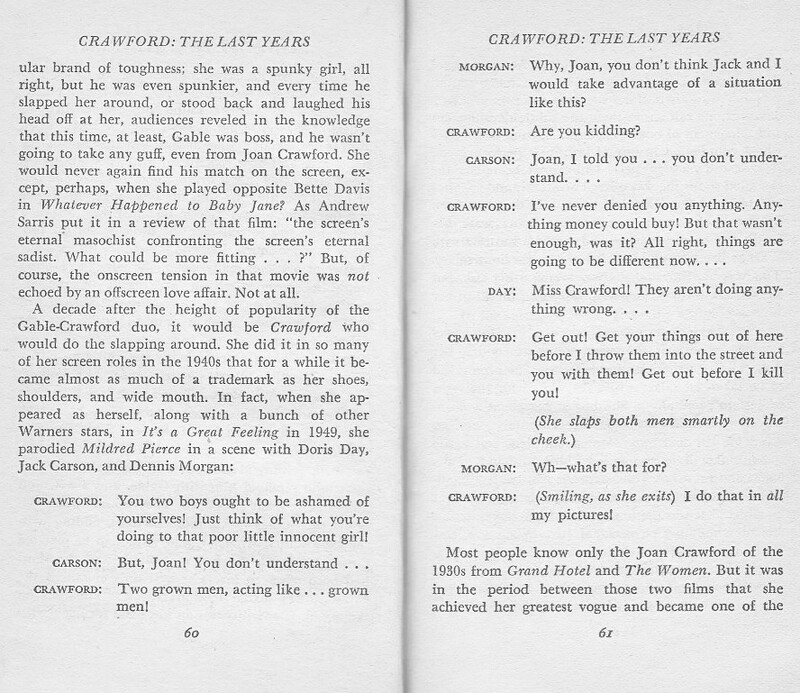 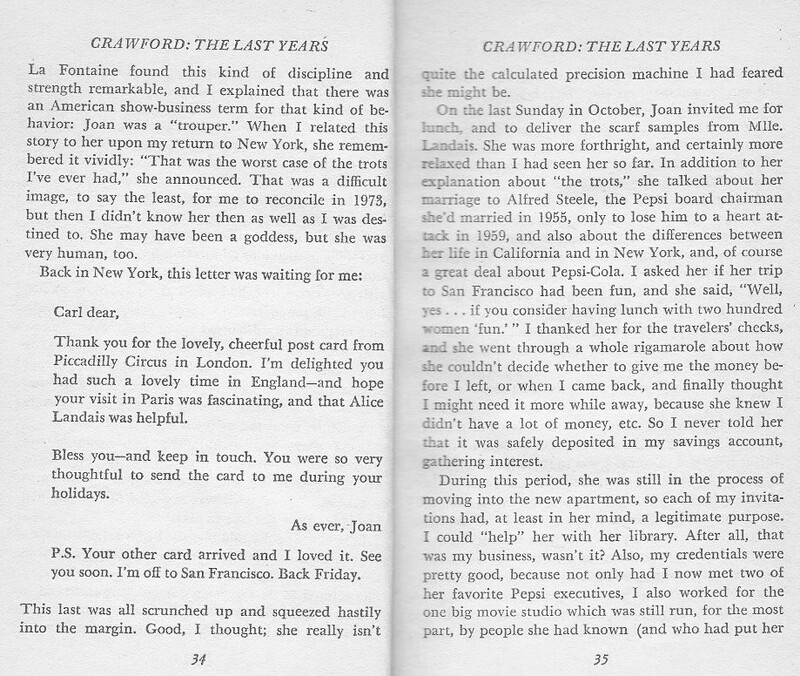 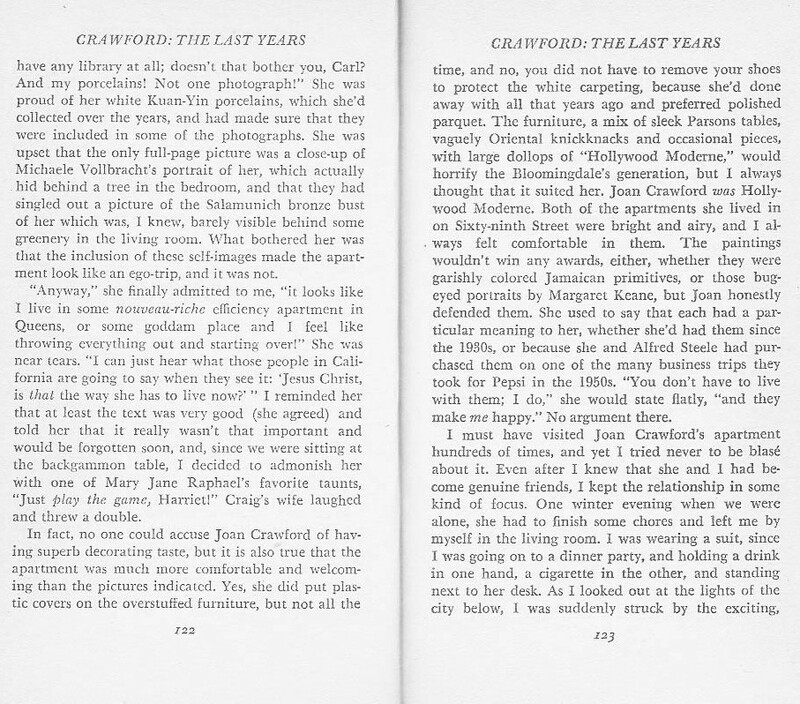 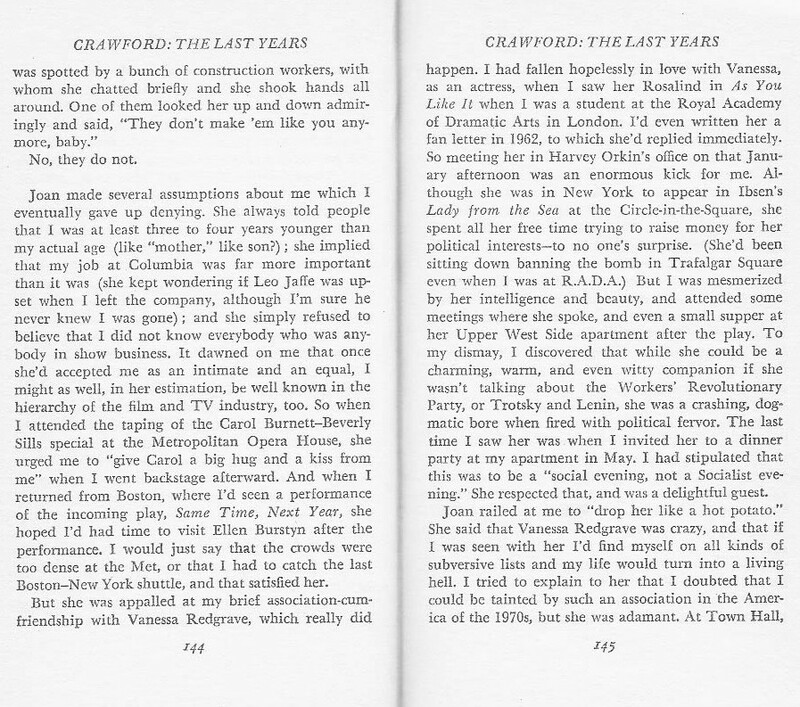 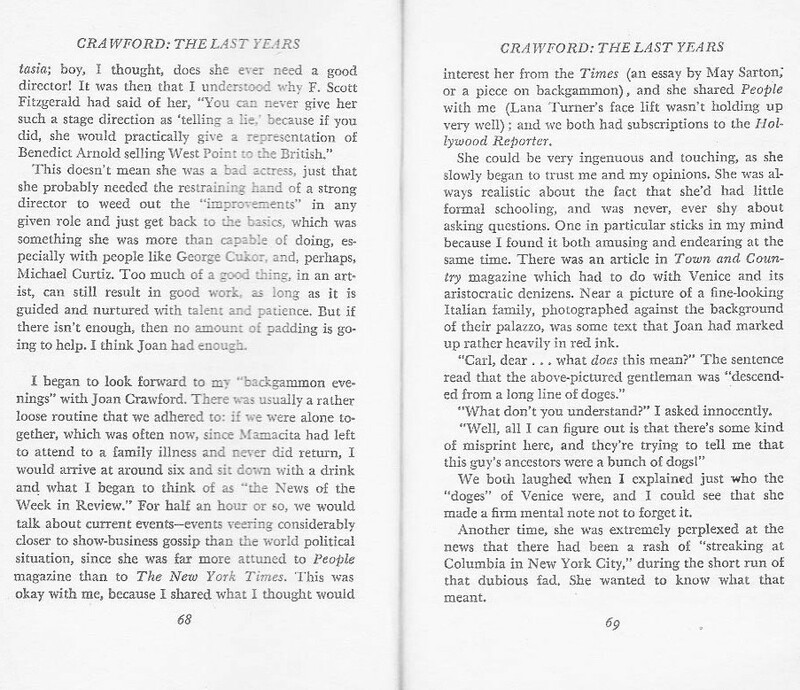 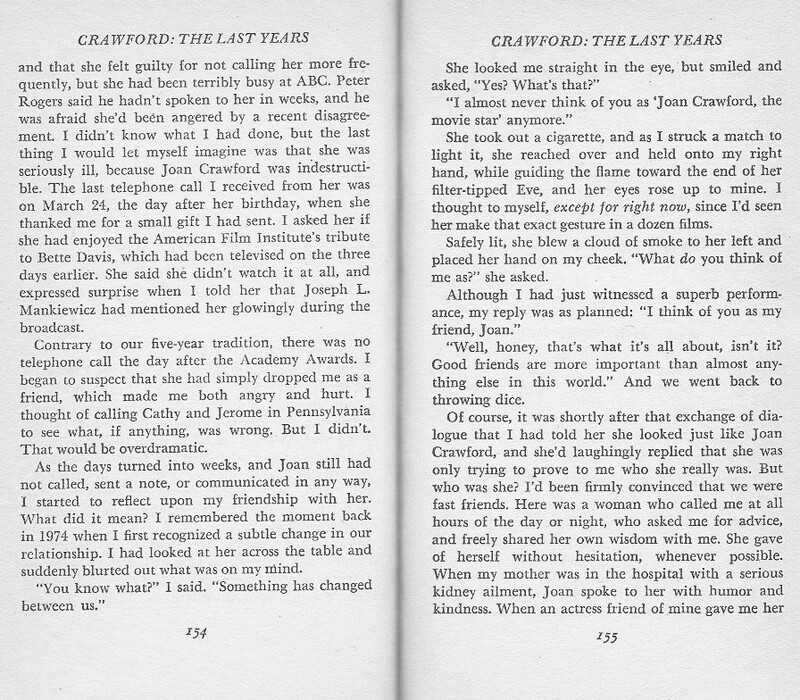 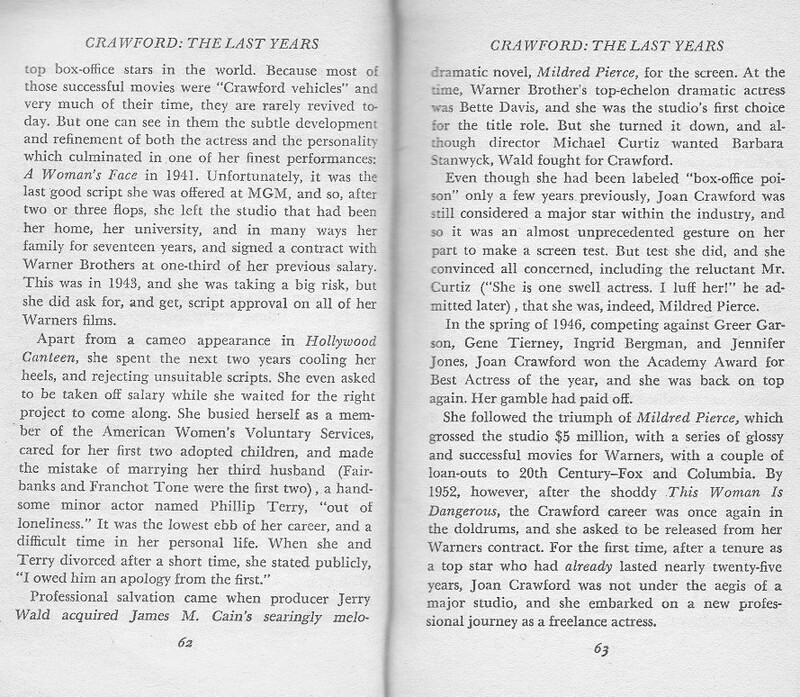 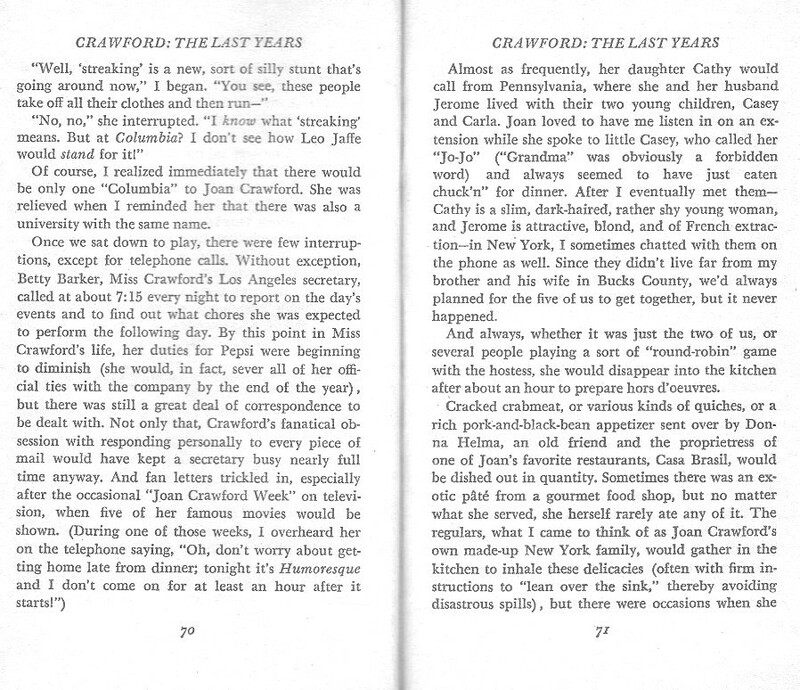 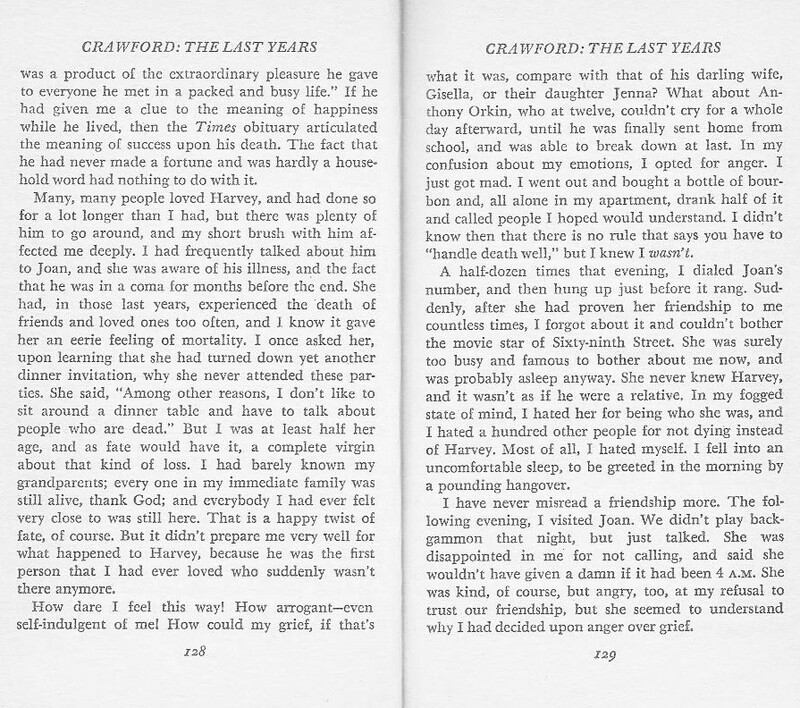 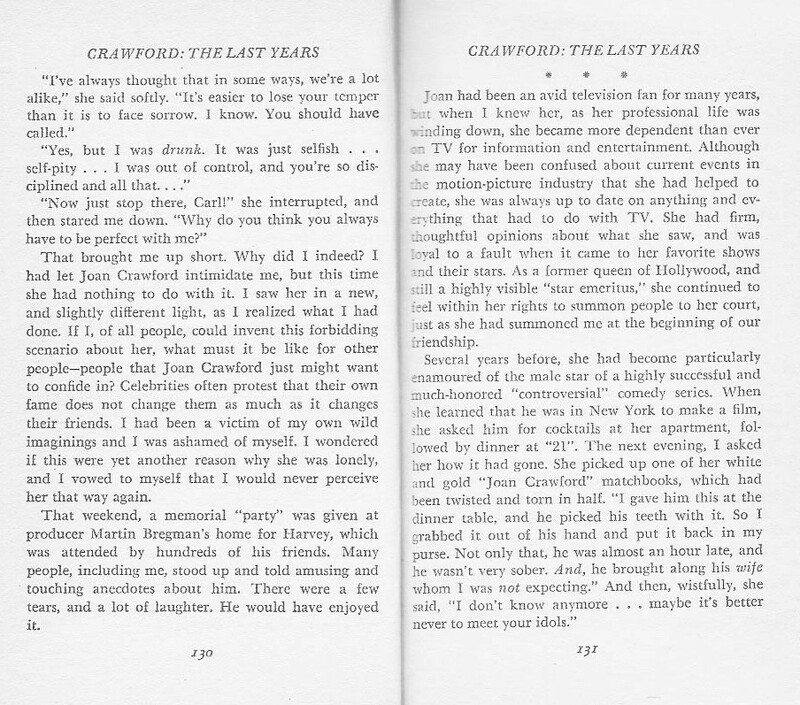 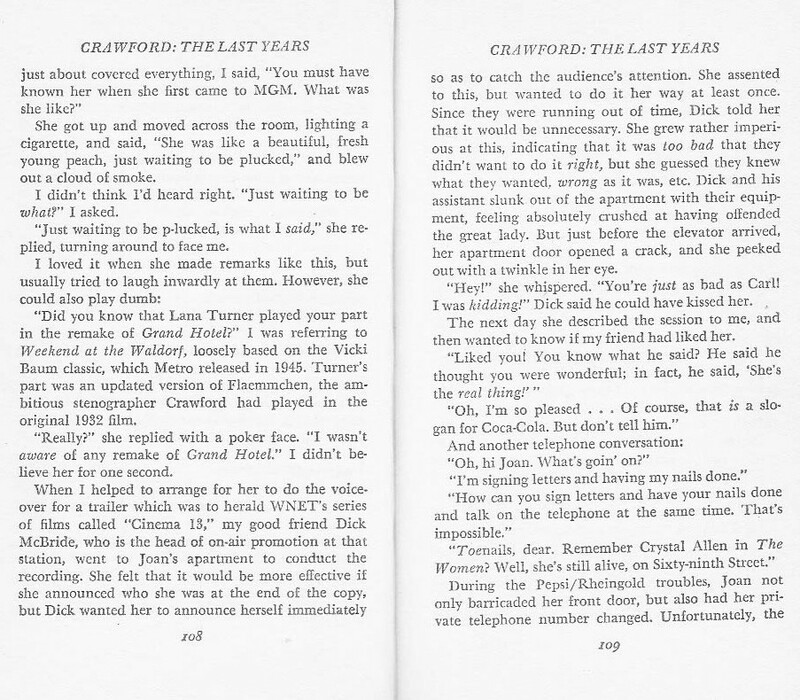 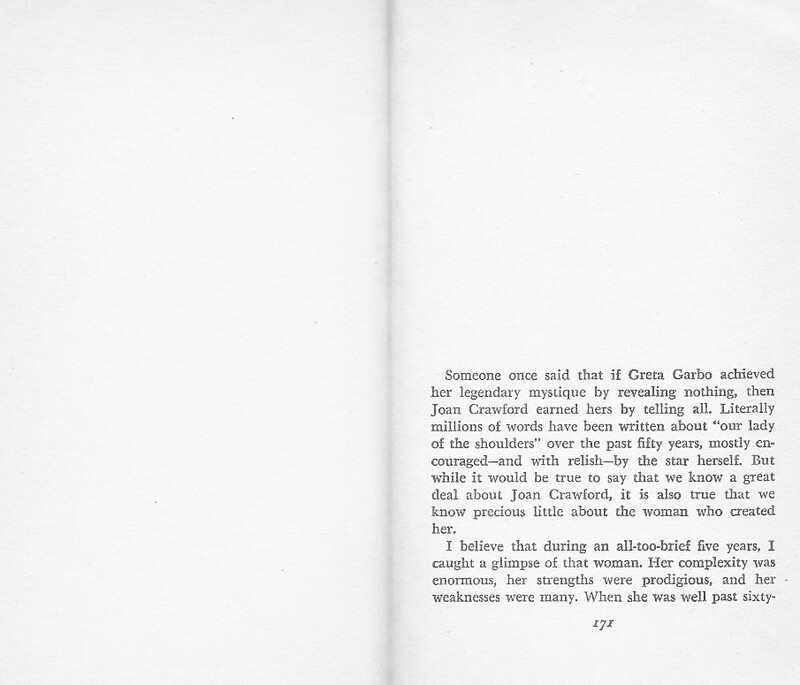 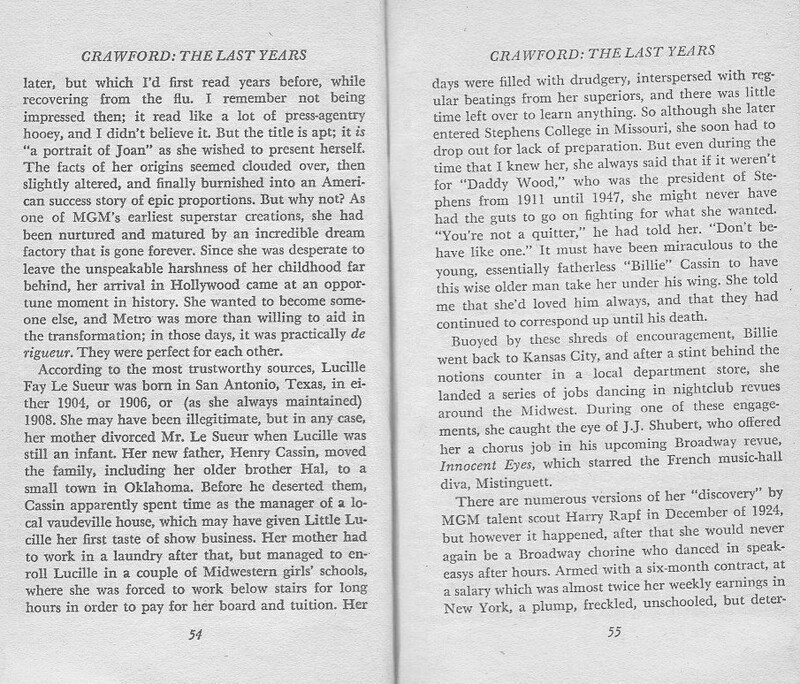 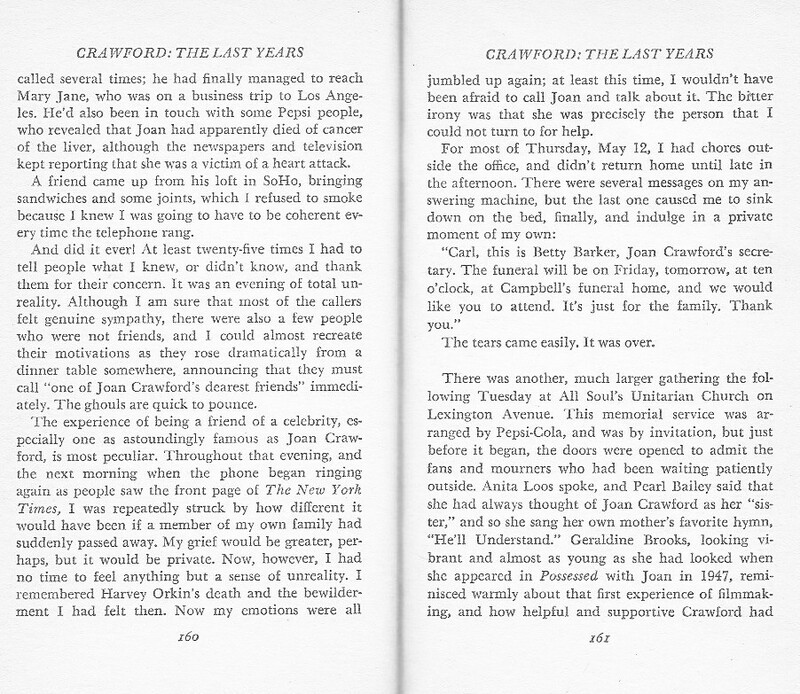 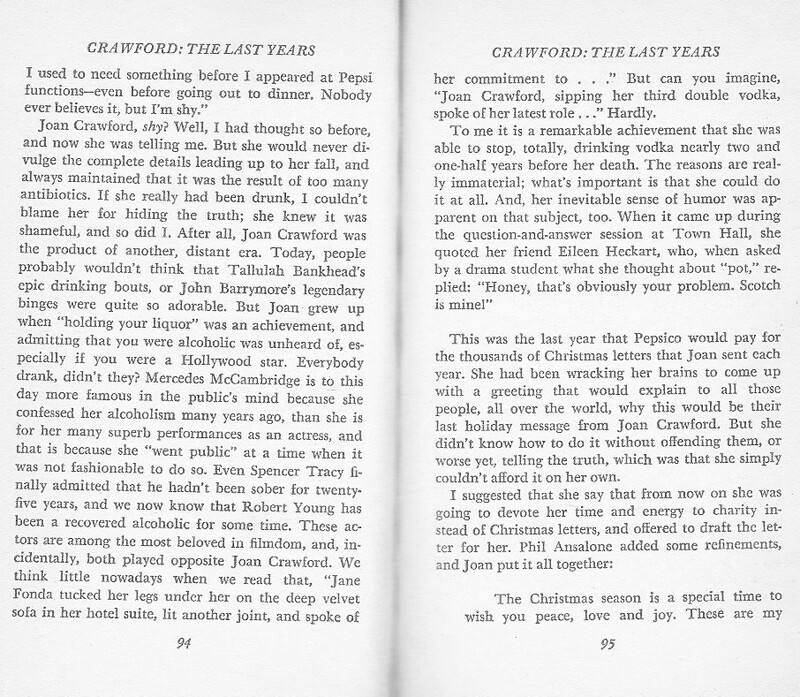 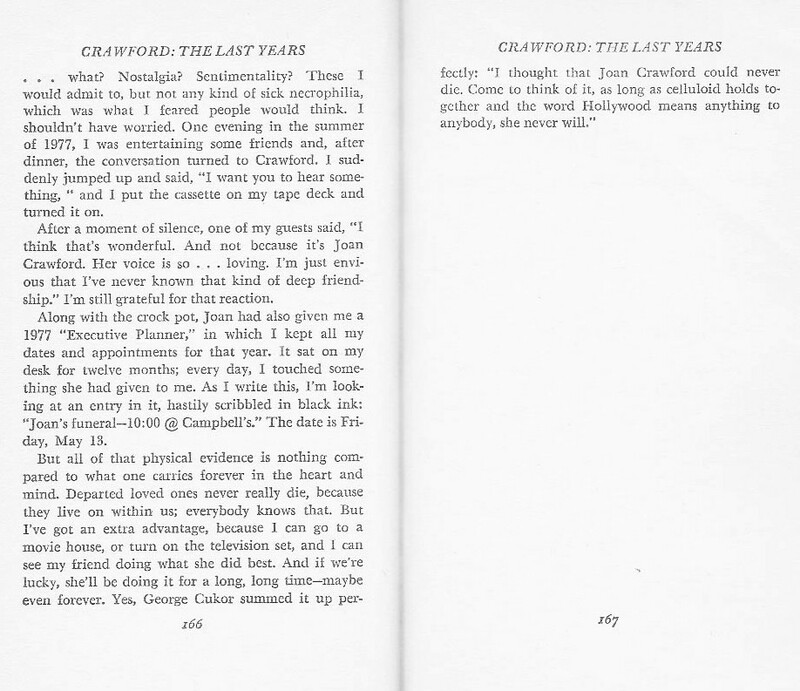 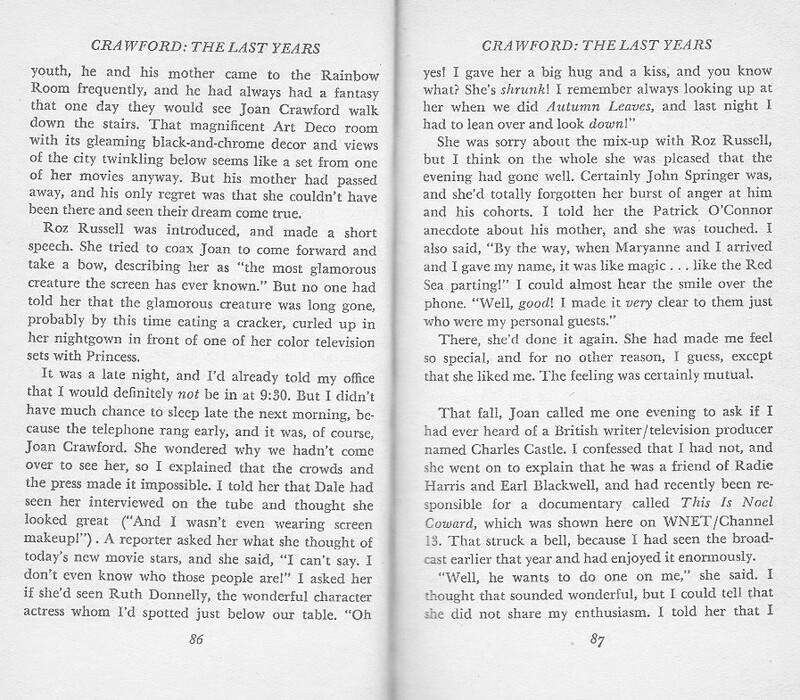 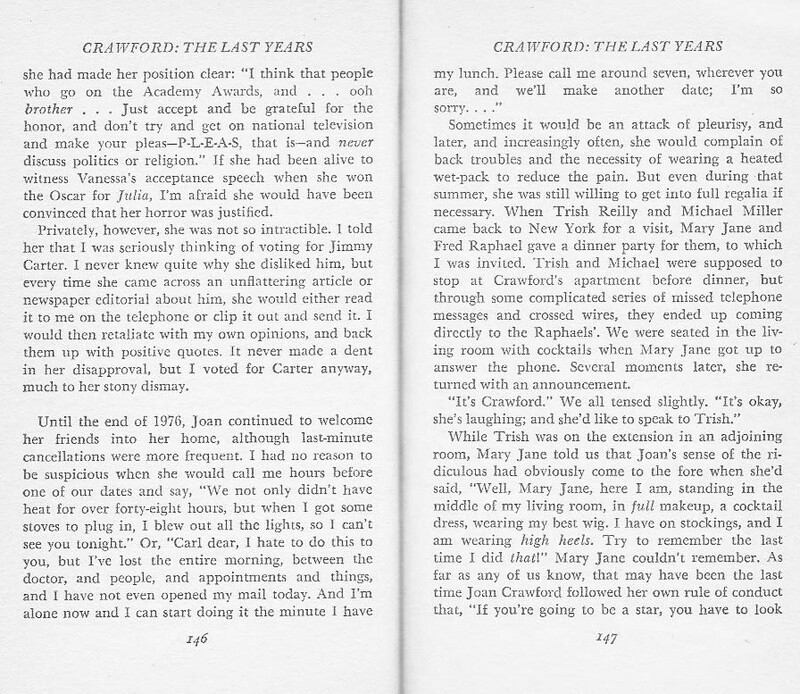 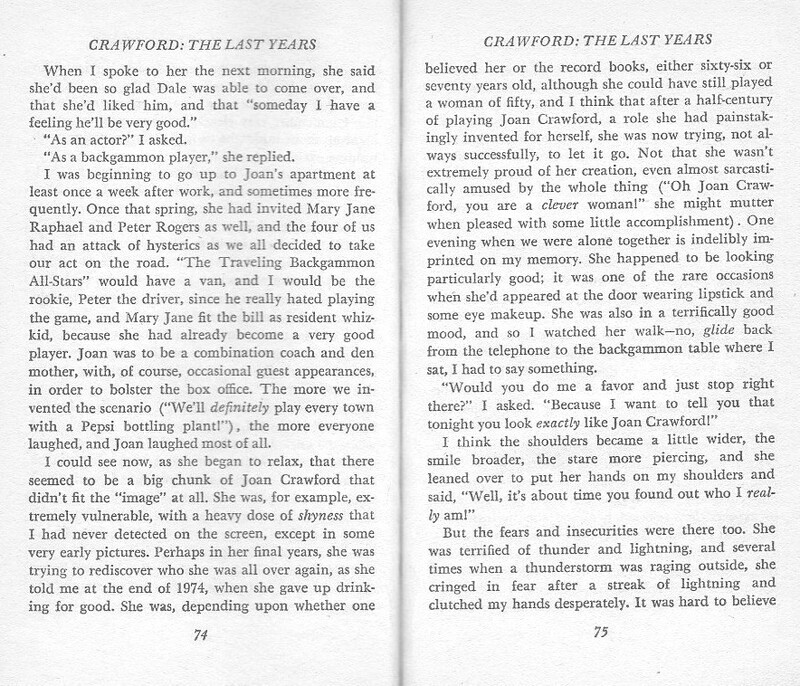 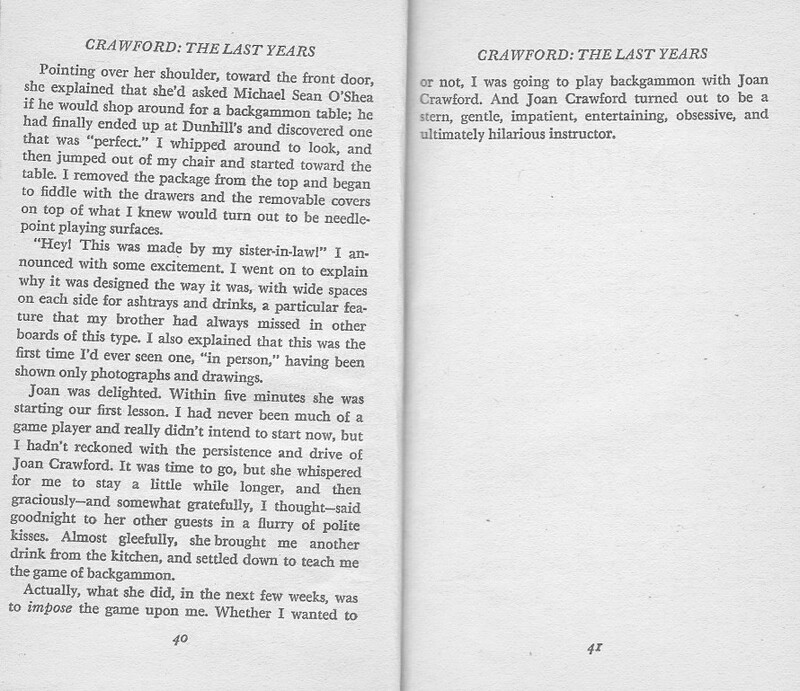 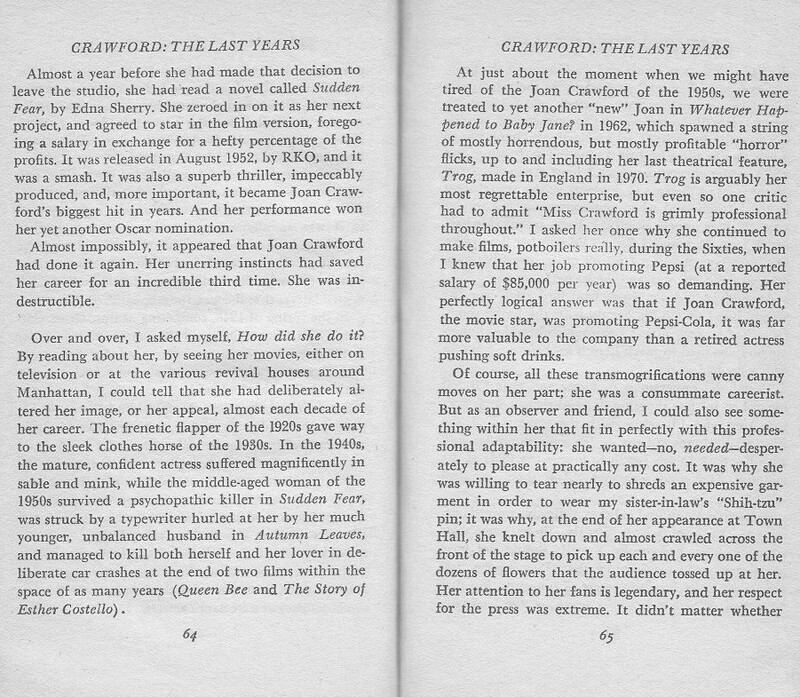 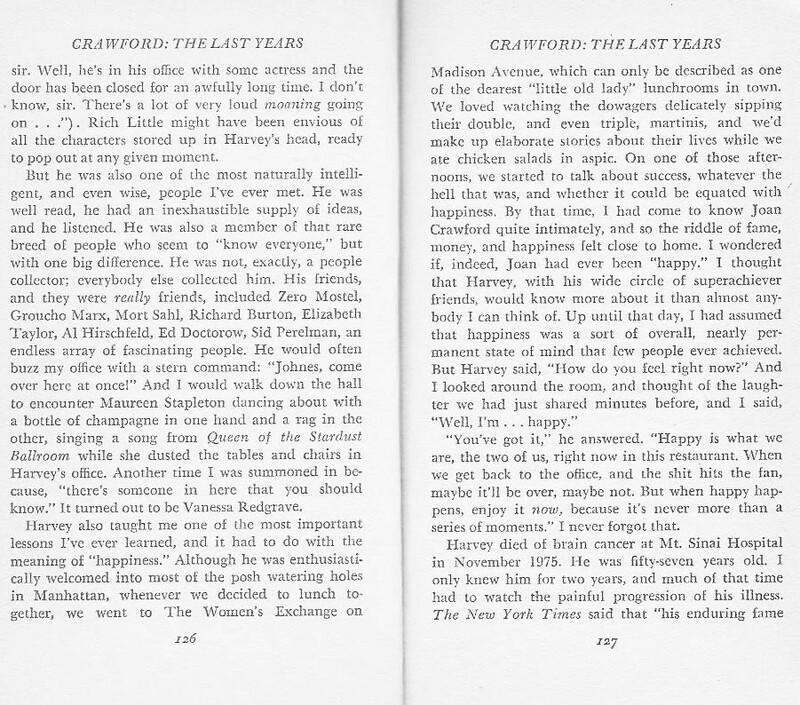 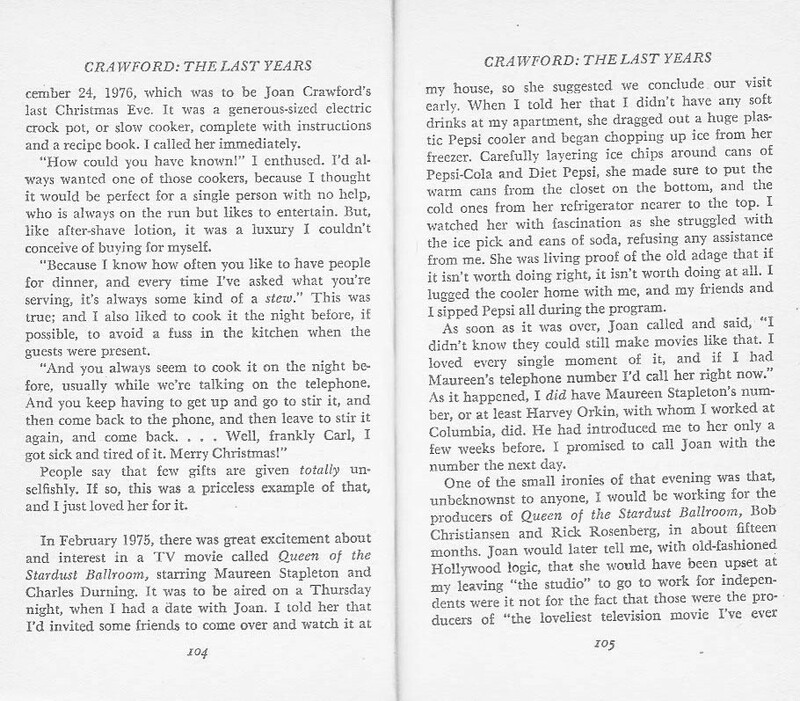 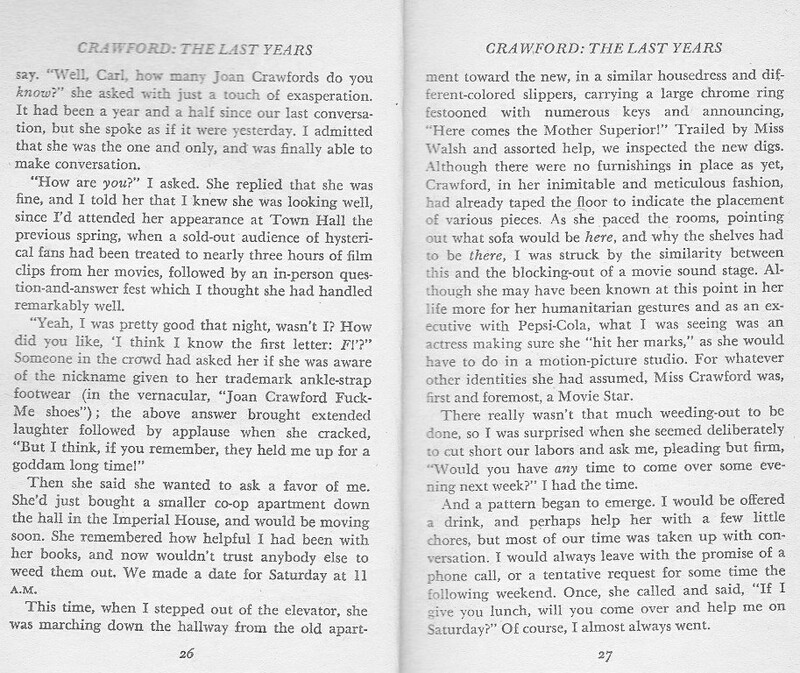 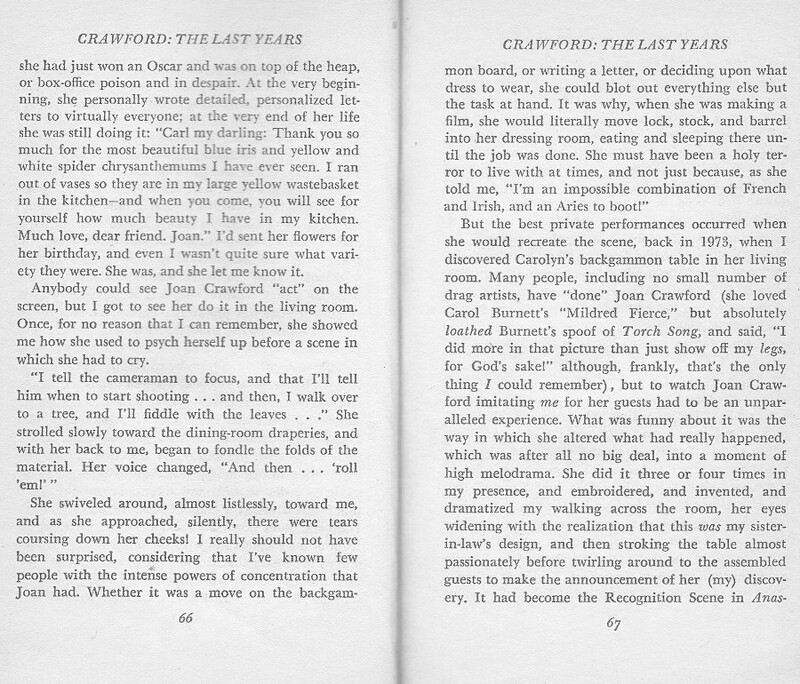 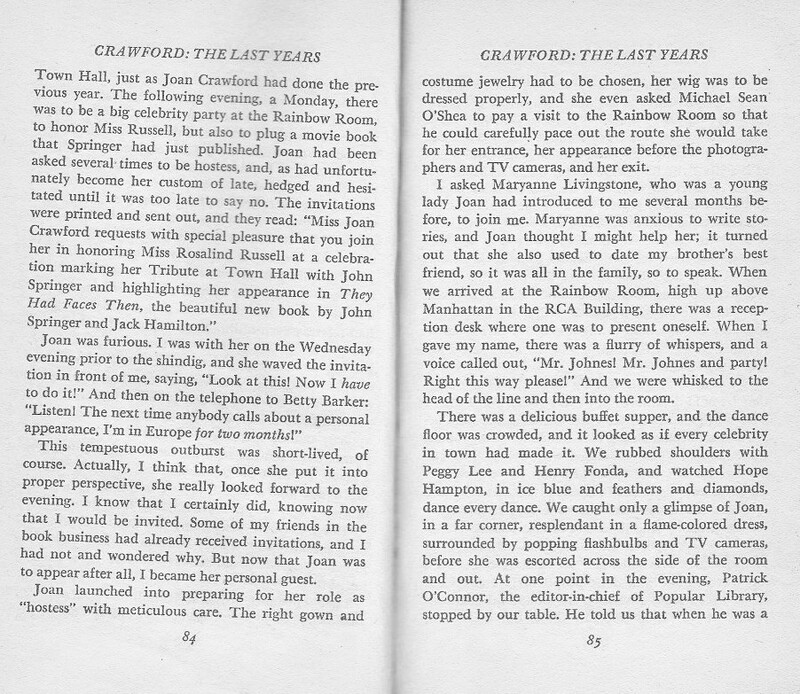 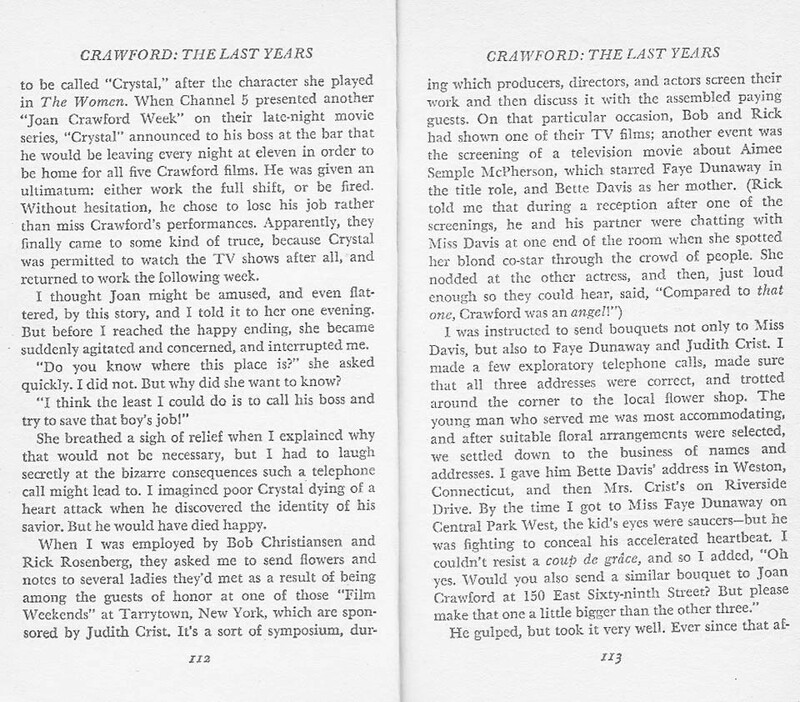 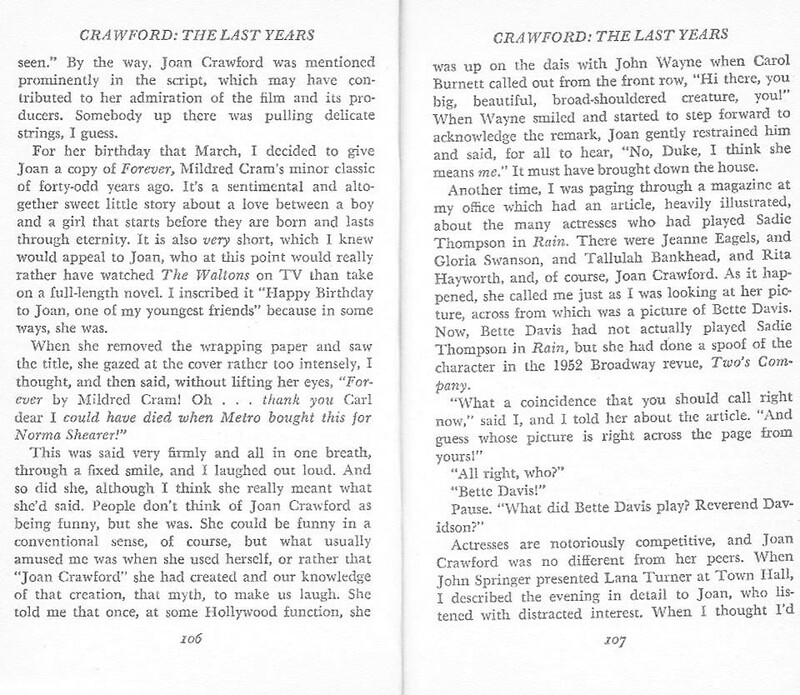 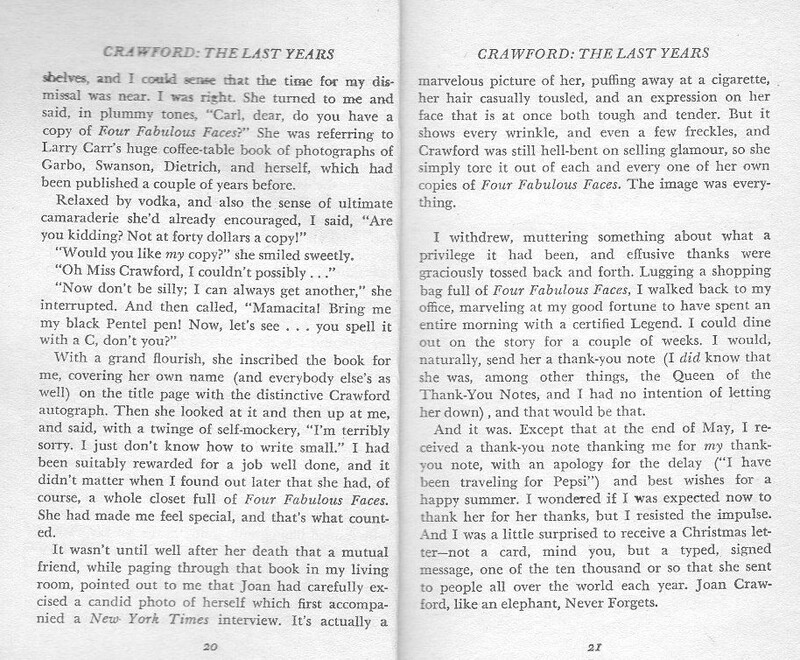 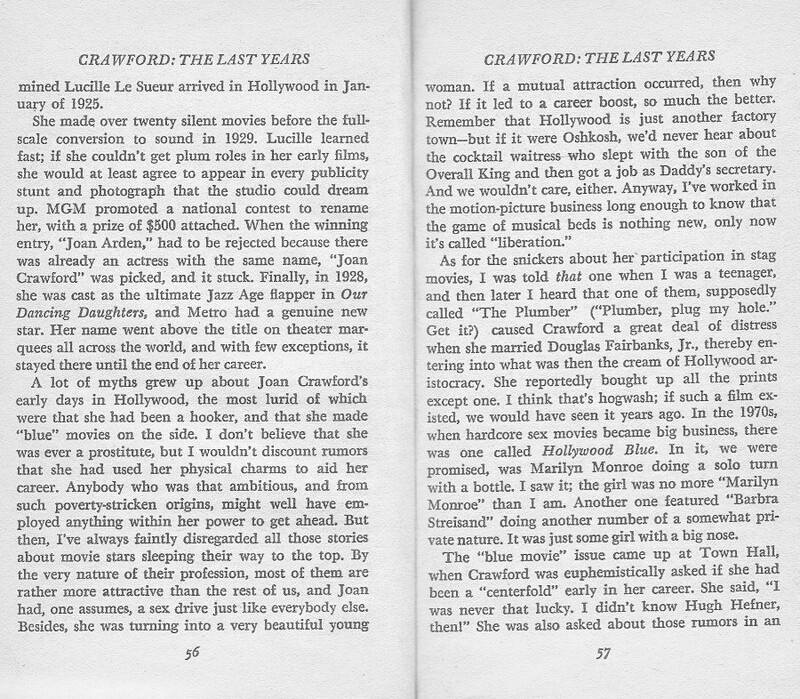 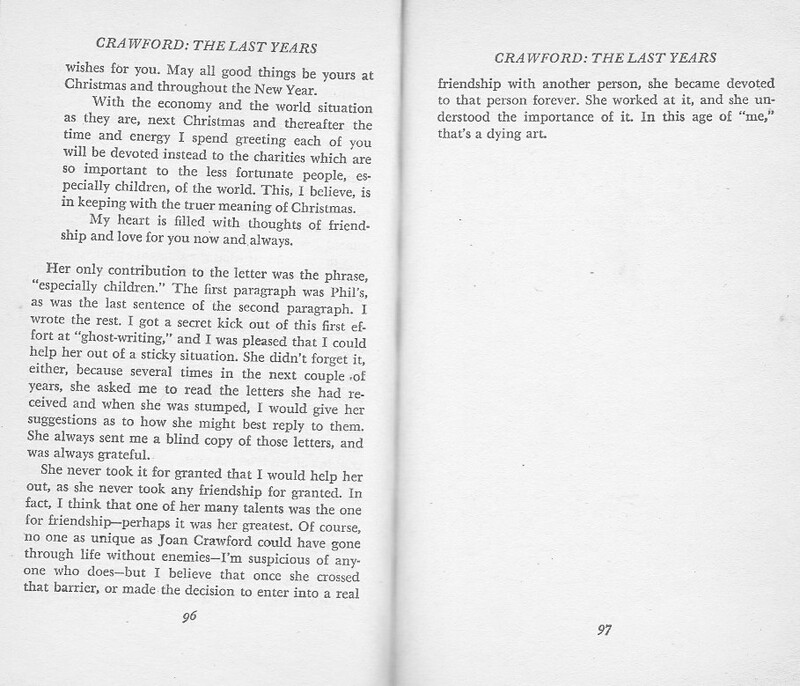 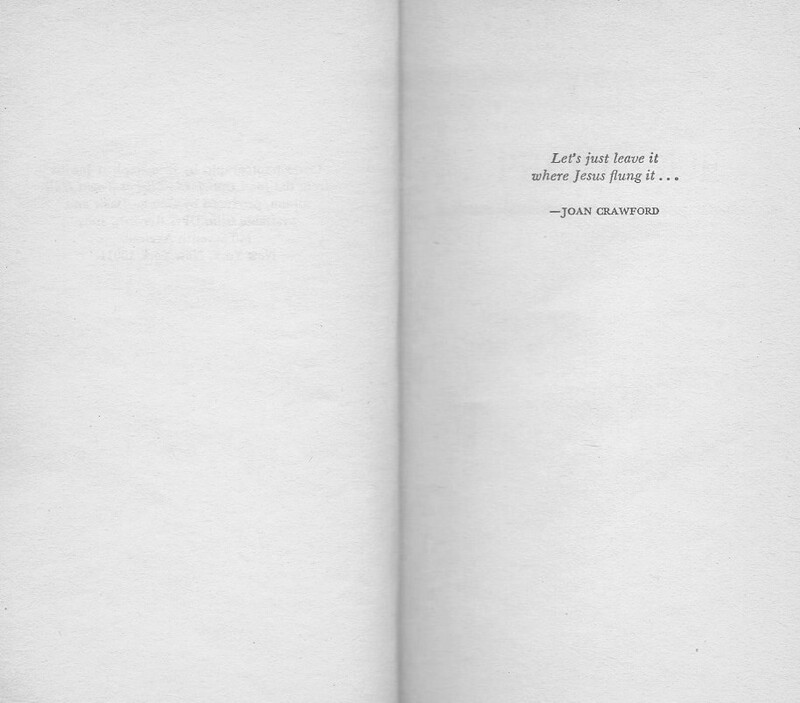 "Crawford: The Last Years" written by Carl Johnes is one of the best biographies on Joan Crawford, the person. 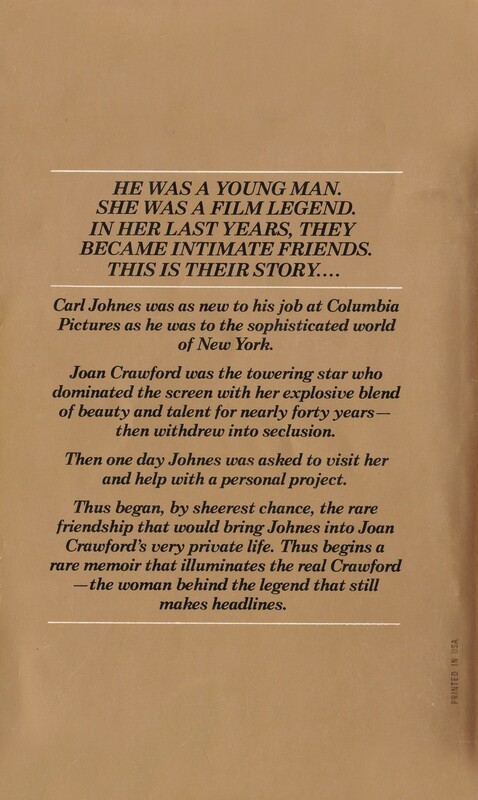 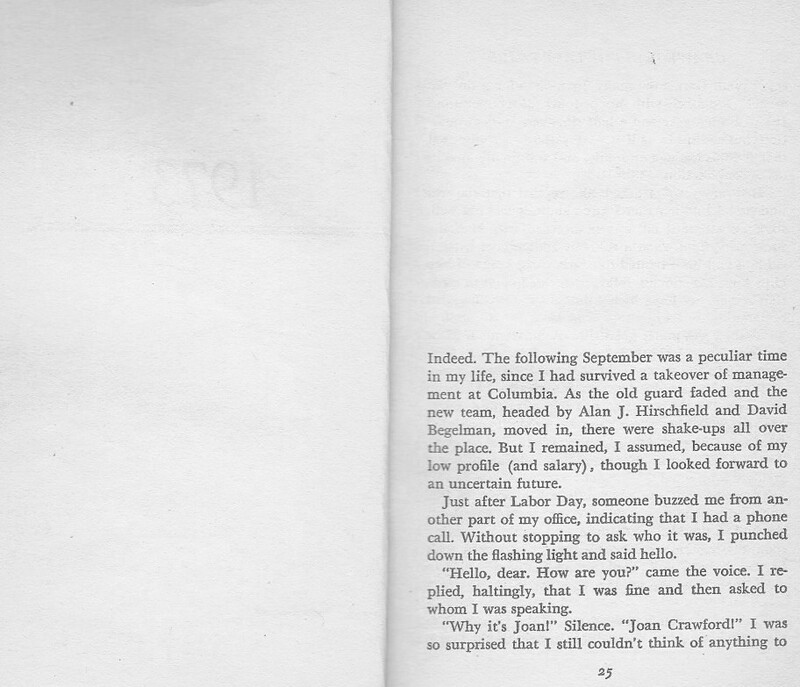 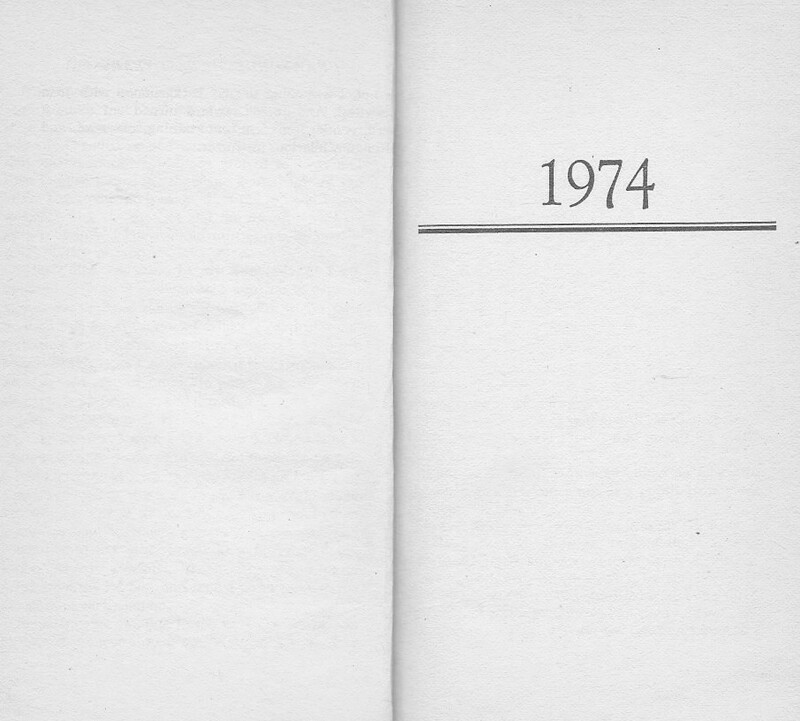 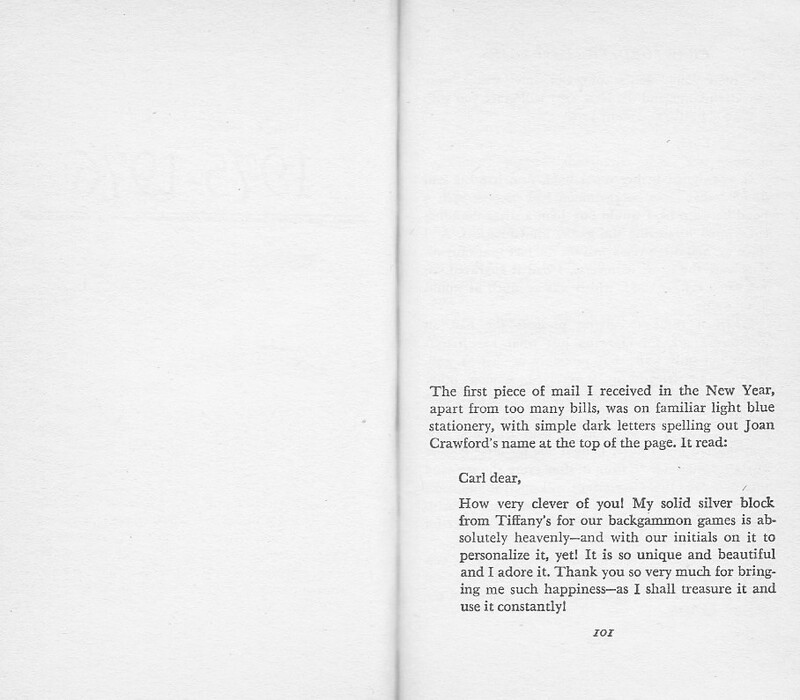 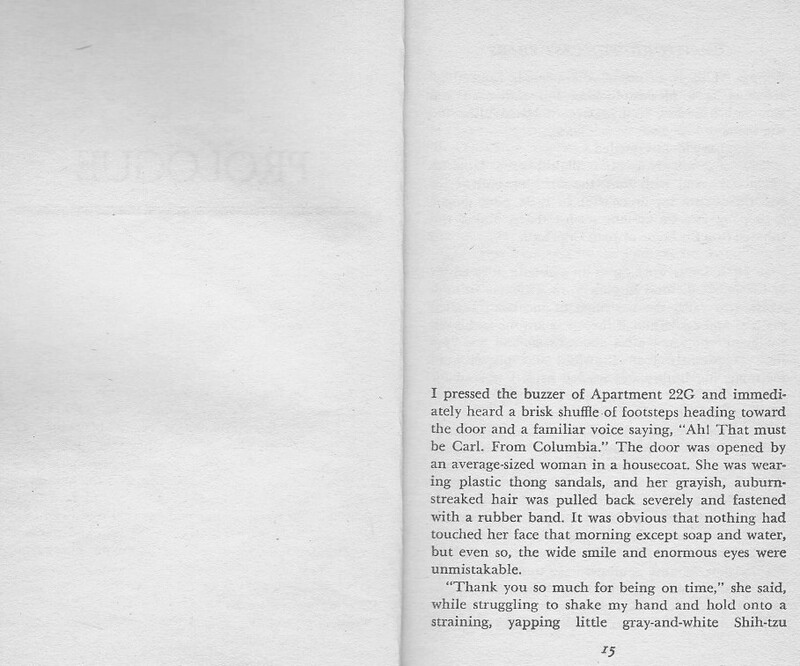 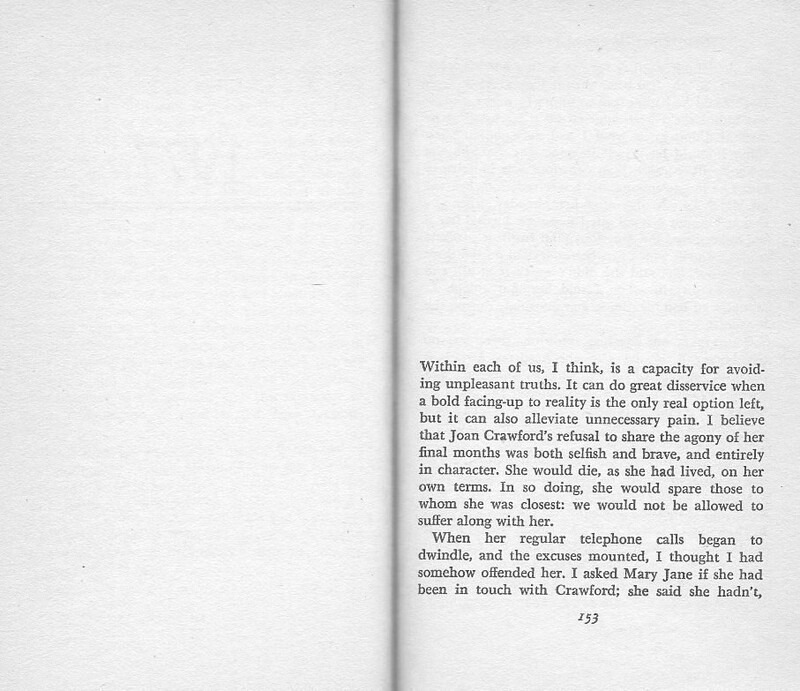 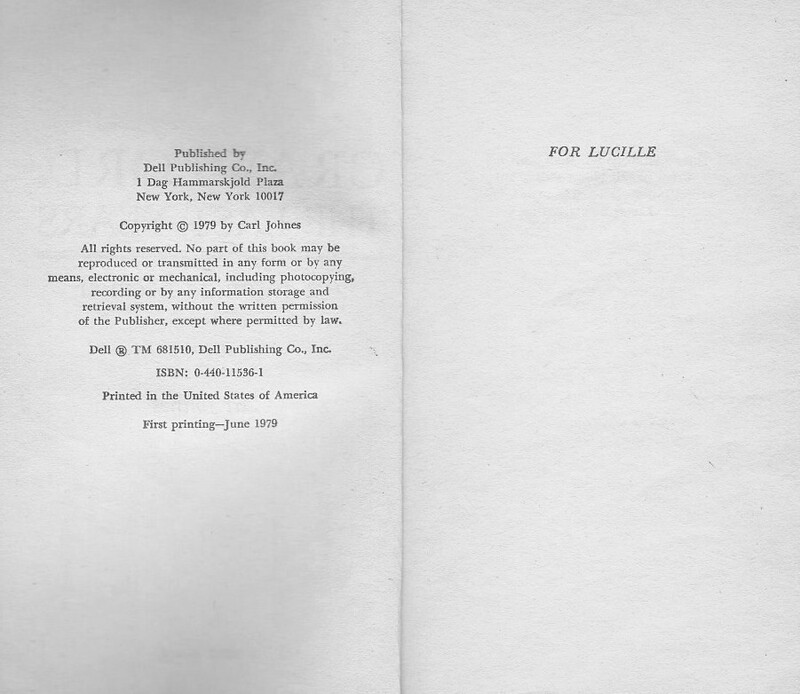 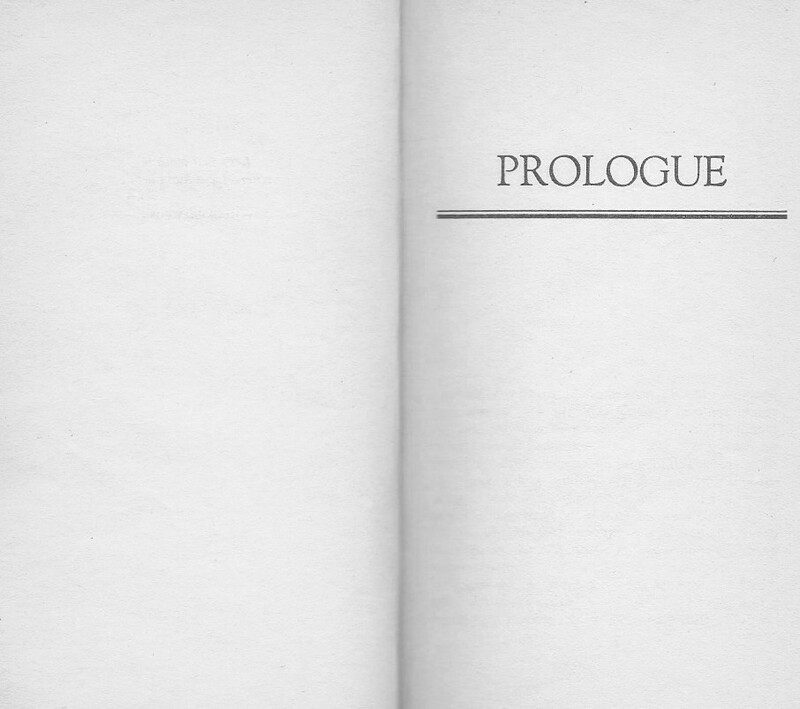 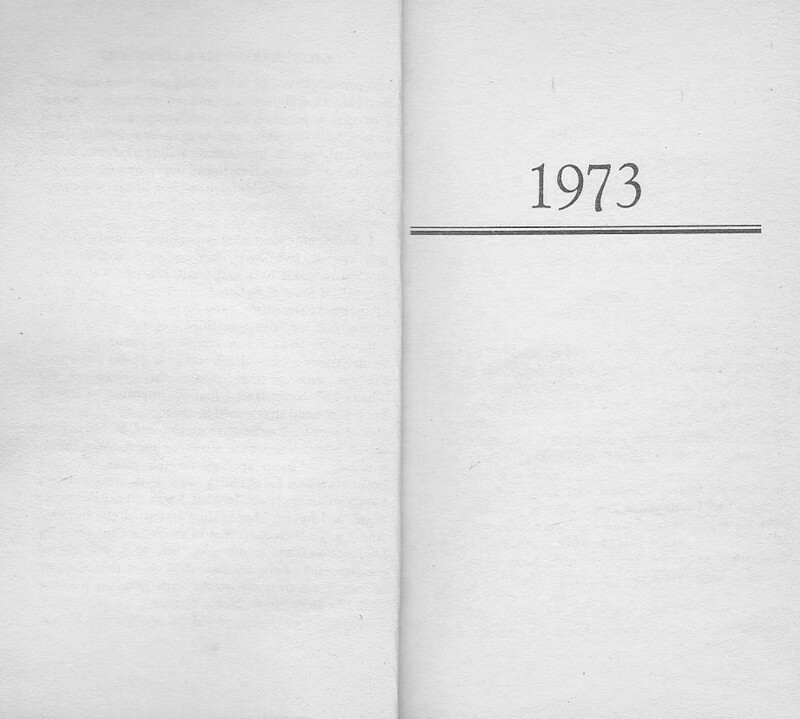 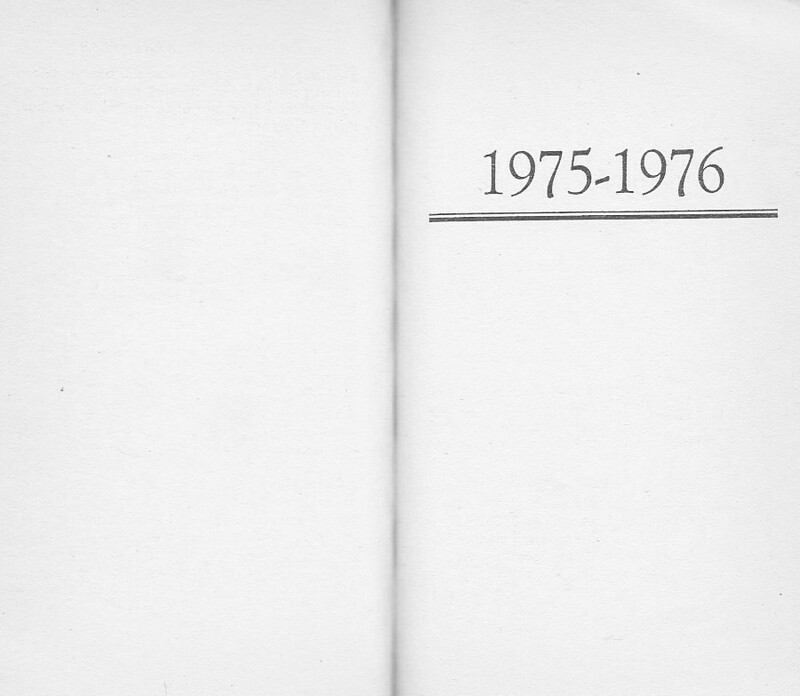 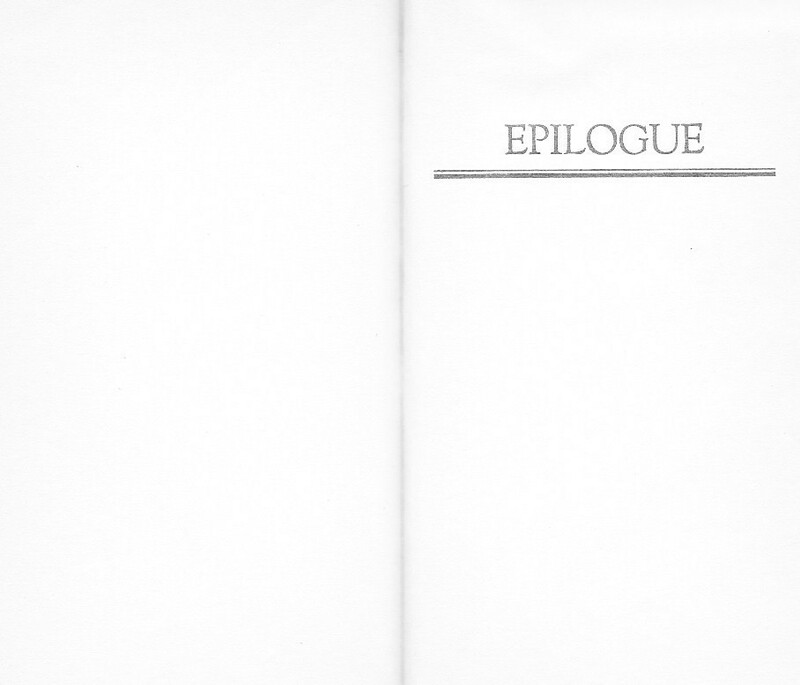 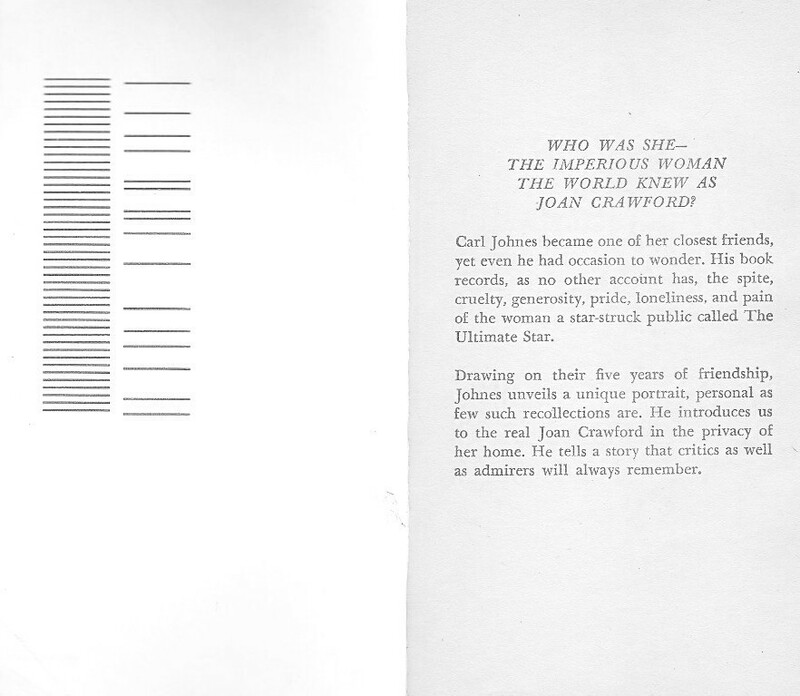 It's written from the first-hand account of one of Joan's friends during her life in the mid to late 1970s. 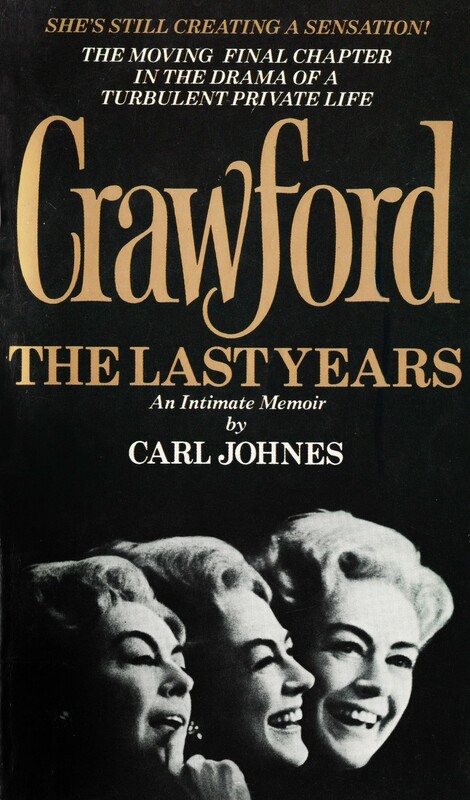 This autobiography of Johnes and Crawford's association with each other is a warm and truthful glimpse into Crawford's final years.